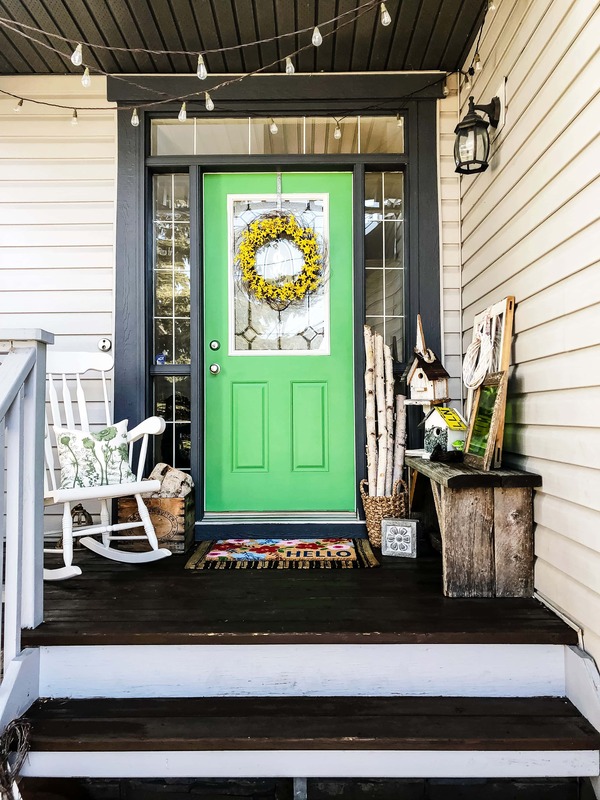 Welcome to my Bright and Cheery Simple Spring Porch! 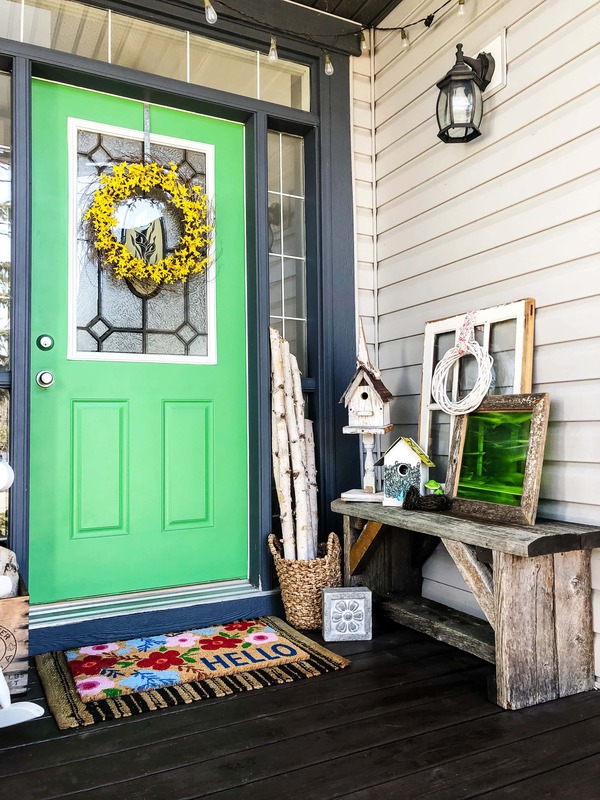 I hope you find some inspiration to decorate your front porch or entryway for spring. 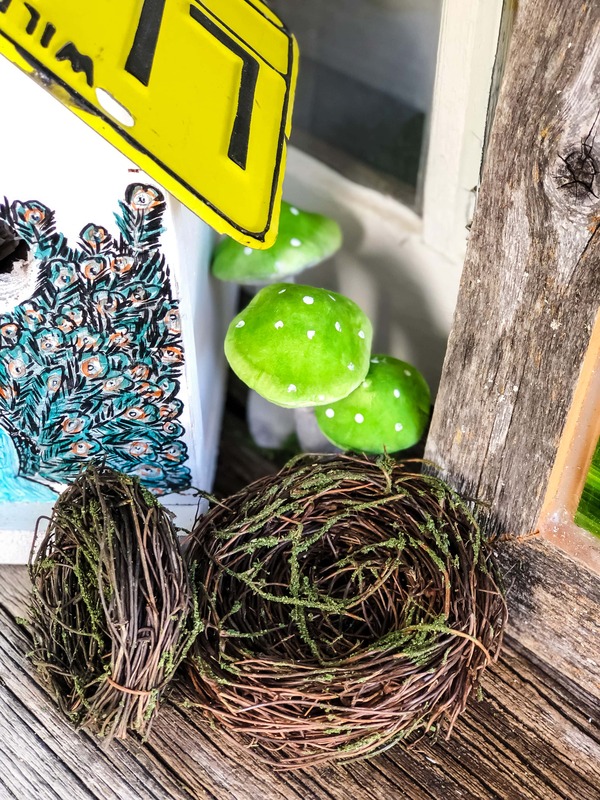 In case you missed my other posts in this Seasonal Simplicity series, hop on over to see my Simple Spring Vignette with Cacti, my Spring Living Room, my Simple Succulent Wreath for Spring, as well as a quick DIY on How To Grow Plants from Cuttings. This year my spring porch is all about colour. Bright, cheery, happy spring colours. After a long winter, this is actually so necessary! And dare I say, that spring has finally arrived? Well, at least for today it has…we all know that we’re going to get at least one more blast of winter before it’s completely done with us. But for now, it’s spring…especially on my porch! So I say, Hello Spring! I really enjoyed decorating my porch for spring this year. After we painted my door at Christmas, I just knew that I was going to have some fun decorating with it all year round. The green is especially cheery for spring. 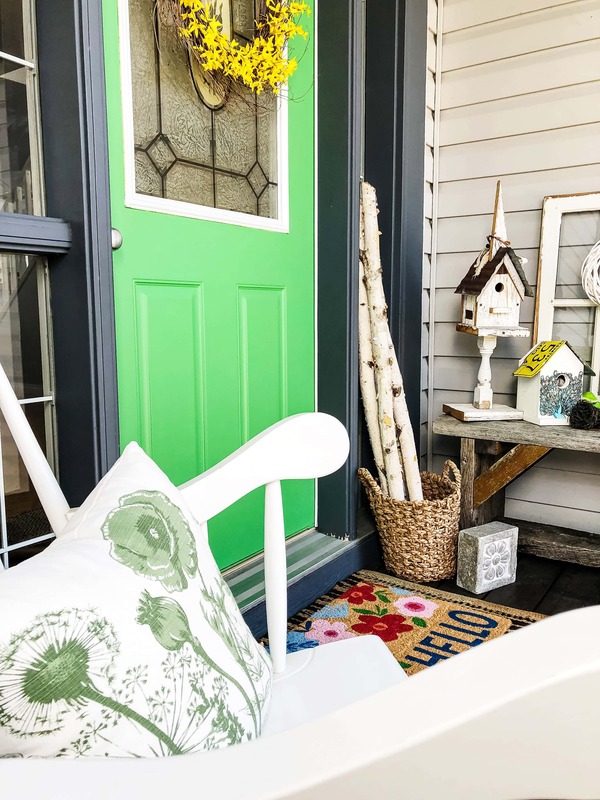 With the green door as the starting point, I began gathering colourful accents to go on my spring porch. 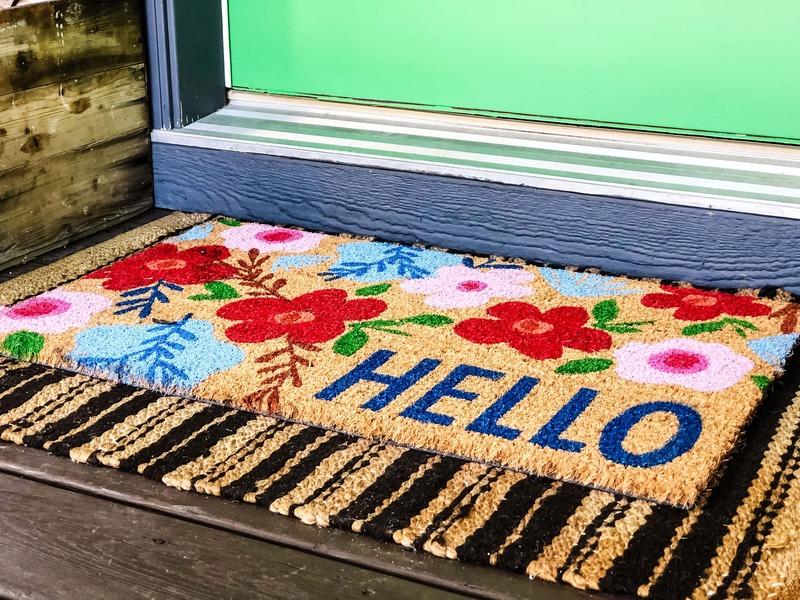 I didn’t buy many new things for this space, but when I saw this fun and colourful mat at Michaels, I just knew that I had to have it against my green door. Then I ‘shopped’ around my home for more accent pieces. As you may already know about me, I like to start by collecting things at home to decorate with. I think sometimes we forget how many pieces we already have that we can use to decorate. It’s nice to buy a few new items to complement everything, but if I can use what I already have, I love that. 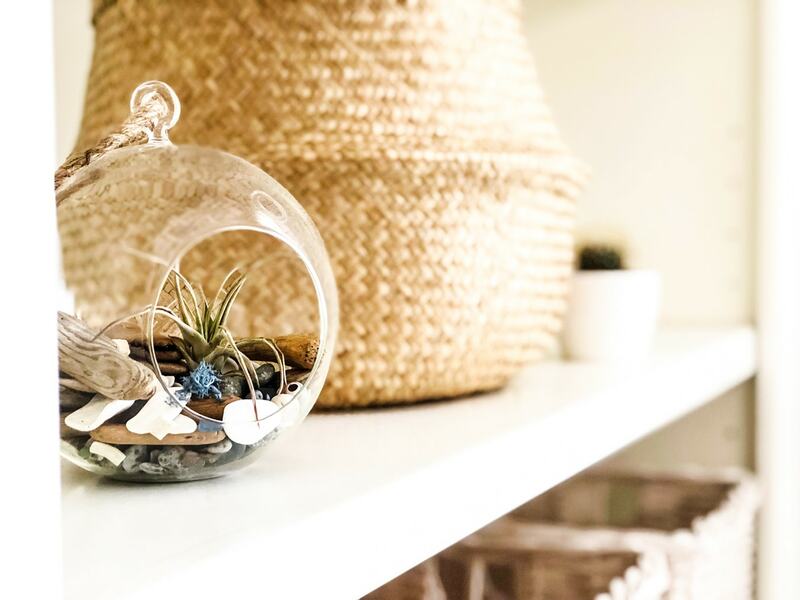 It’s a great way to breathe new life into decorations. Then I created a little vignette on my porch…I really love vignettes out here. 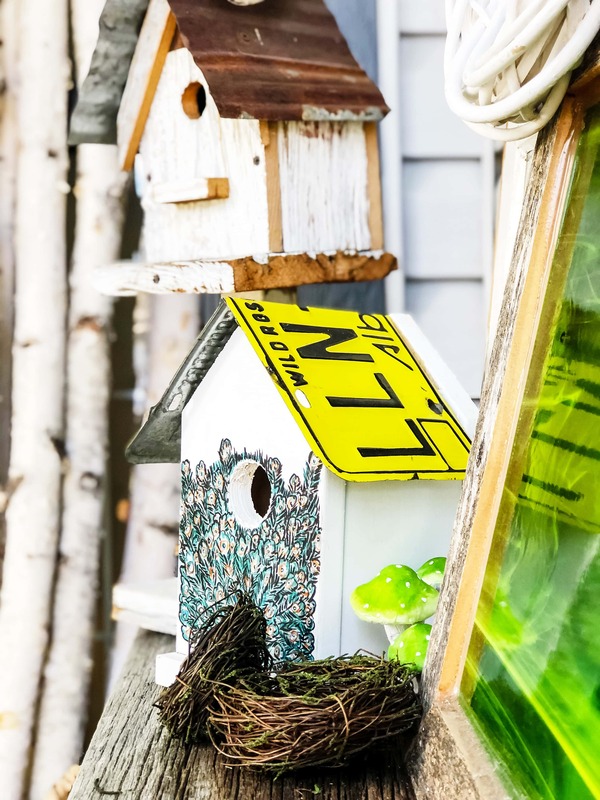 They’re a great way to display a collection of items to make a porch a nice space to visit or even hang out. 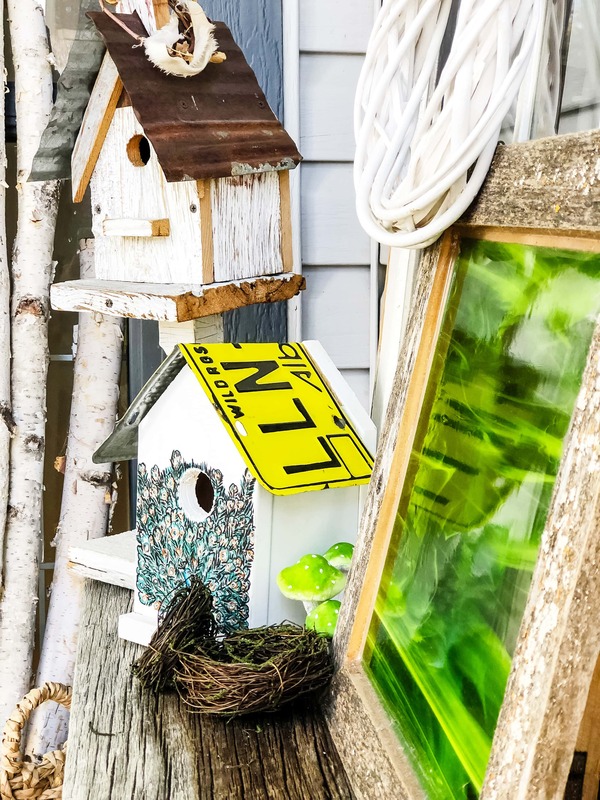 I used a barnwood bench as the base for this vignette, then I layered together some birdhouses and nests with my farmhouse window and added a pretty green stained glass art piece that I bought years ago. These are all things I already had and they all match perfectly! I love this little springy collection. Now the only thing that was missing was a wreath for the door. You all know of my love of wreaths…it’s just not a welcome without a wreath to greet you! 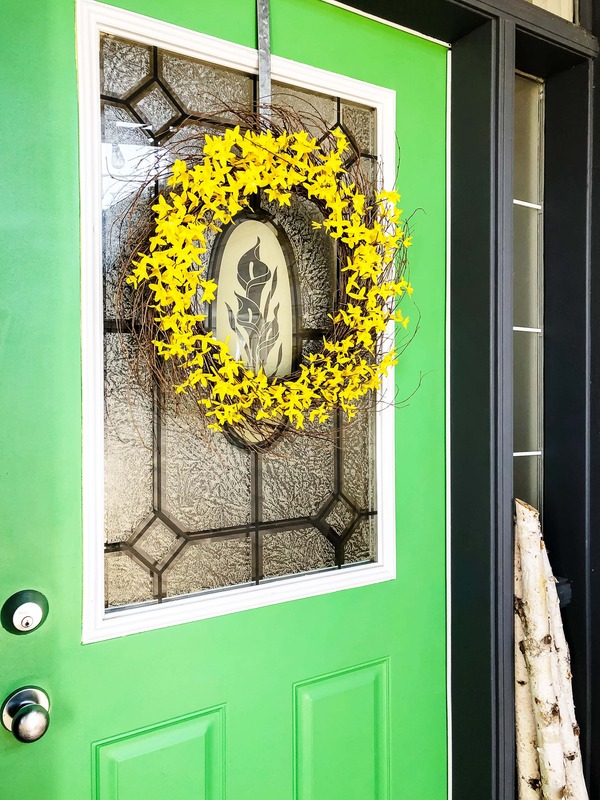 So I made this spring forsythia wreath that I think is absolutely perfect against the green. I love the way the green makes everything that’s put against it pop…especially yellow. Is there any more cheery spring colour combination than green and yellow? I don’t think so. I’m really happy with the way this space turned out…it feels so fresh and cheery out here now and that’s exactly what I was hoping for! Thank you for stopping by to see my spring porch. 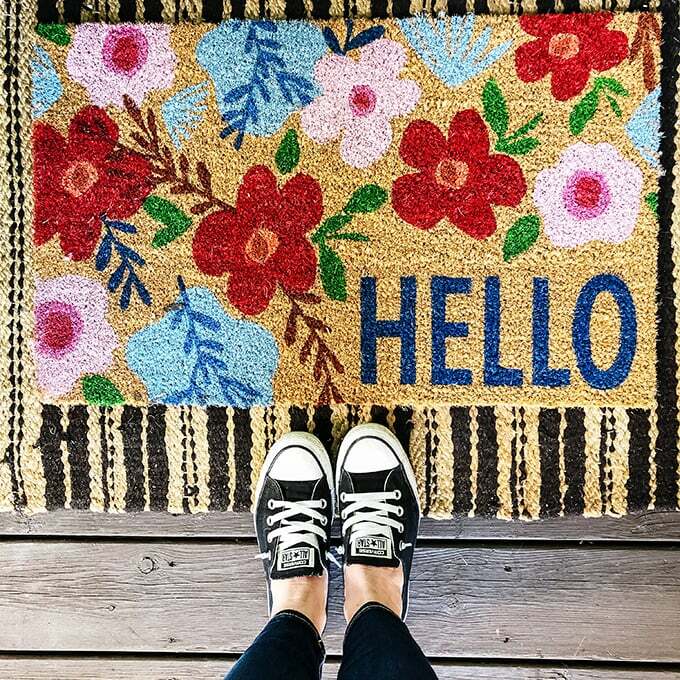 I hope you leave inspired to decorate your entryway! 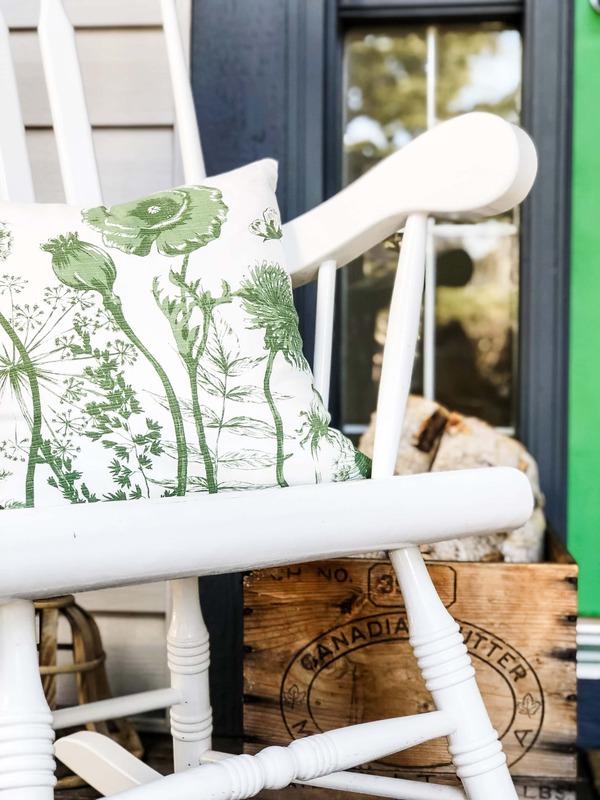 Make sure to check out all of these pretty spring porches…I hope you’ll leave inspired to decorate your home. Happy spring! 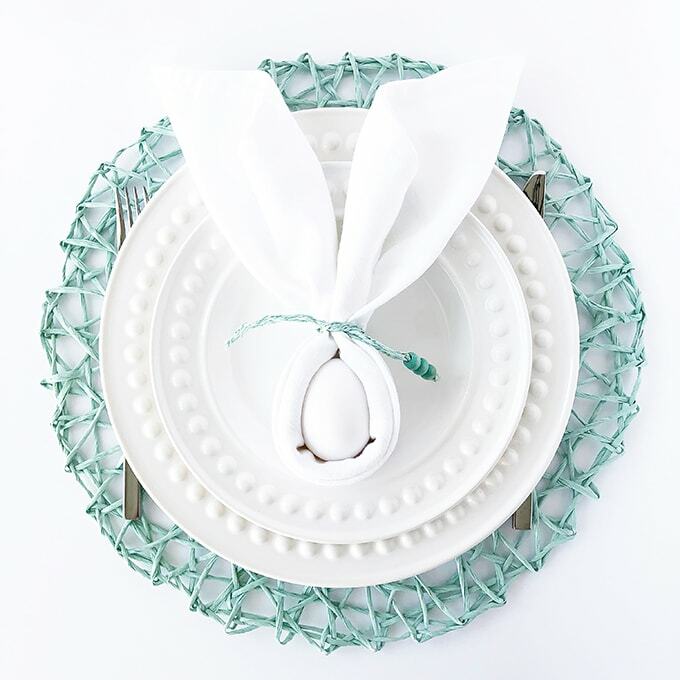 Create a Pretty Easter Table Setting in just minutes with a few simple decor pieces. 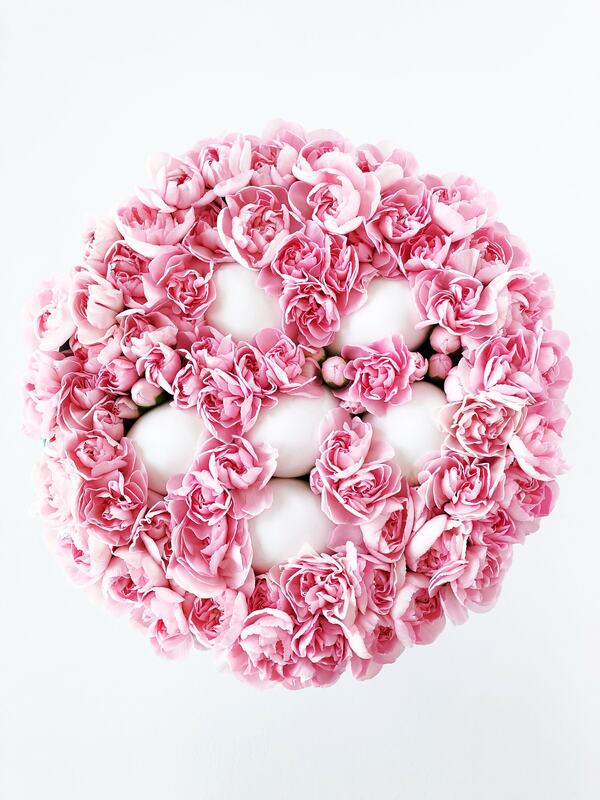 And make a fresh carnation arrangement the star of your table! I really enjoy Easter. 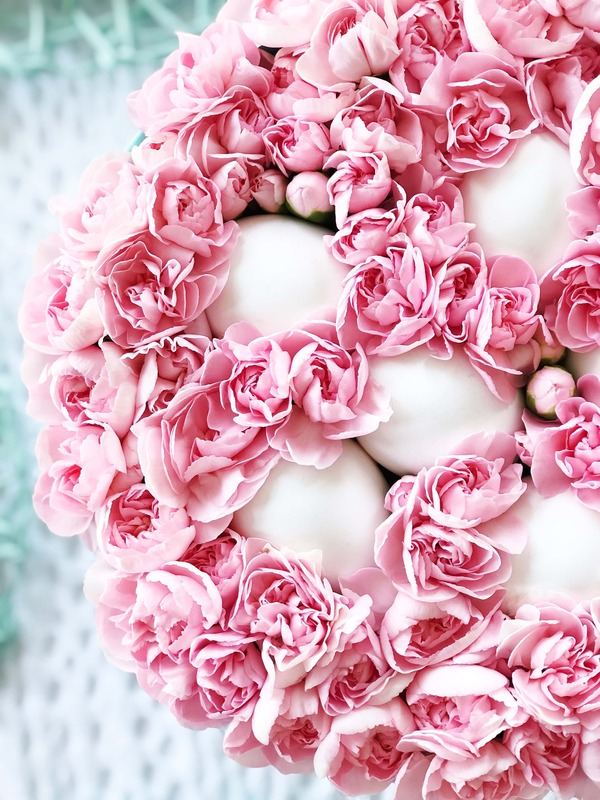 I love the promise of spring that it brings, I love the soft colours, the Easter eggs, the chocolate!, the food, and the gathering of friends and family around the table to celebrate. It’s a lovely time of year. I especially enjoy the big meals that come with Easter weekend! From delicious brunches to Easter dinner, complete with ham, scalloped potatoes and all of the Easter desserts. Next to Christmas, this is my favourite time of year for food! These big meals also mean that I’m setting the table quite a few times. And I don’t want to set just any table, I want to create a pretty celebration table setting. 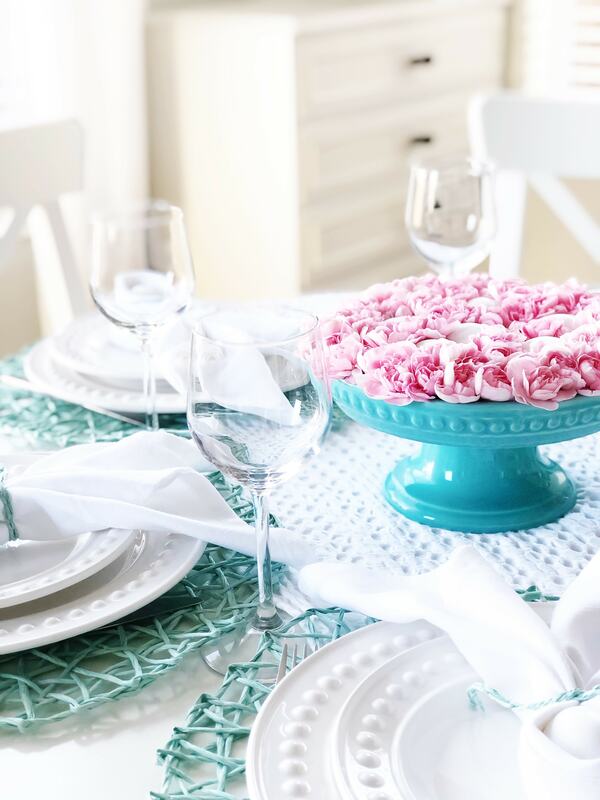 One with fresh flowers, the special dishes and pretty linens. But I also don’t want to make it complicated. I need to be able to put my table setting together in 15 minutes or less, because when I’m pulling the ham out of the oven and putting together all the last minutes side dishes, I do not have time to fuss with the table! So I try to have an idea of how I’m going to decorate ahead of time…I will make the flower arrangement the day before and even fold the napkins. It’s the little details. When I put together this Easter table, I really tried to keep it simple. 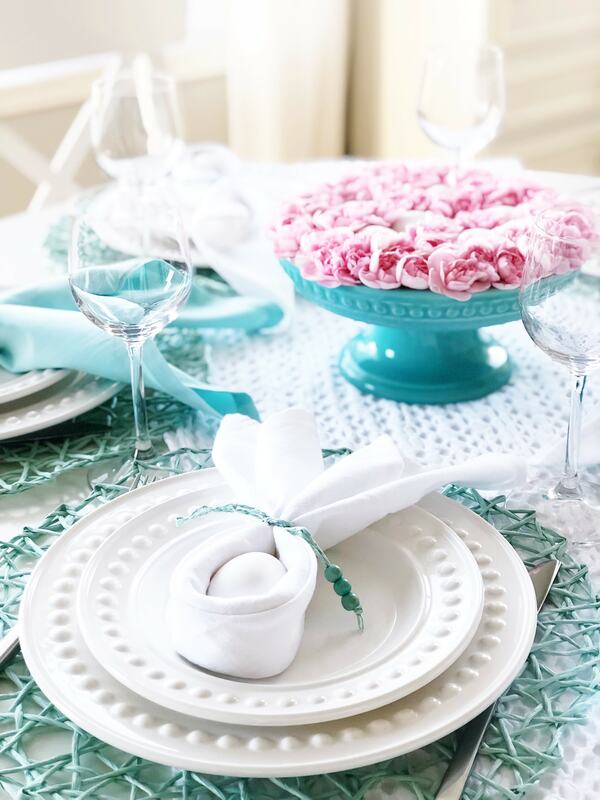 I have a set of white dishes that I use for all of my special dinners, which I layered on top of a new table runner and some pretty teal woven placemats that I found at Winners. Then I added the cutest Bunny Napkins EVERRRRR! You can see how I made those in another post here. Hint…they’re SO easy and everyone will love them. But my favourite part of this table setting is the pink carnation and Easter egg arrangement that I made for the centrepiece! Sometimes, the only decoration a table needs is a bouquet of flowers. Years ago I pinned a white and yellow carnation arrangement from BHG, and I’ve been wanting to make it ever since. This was the year. 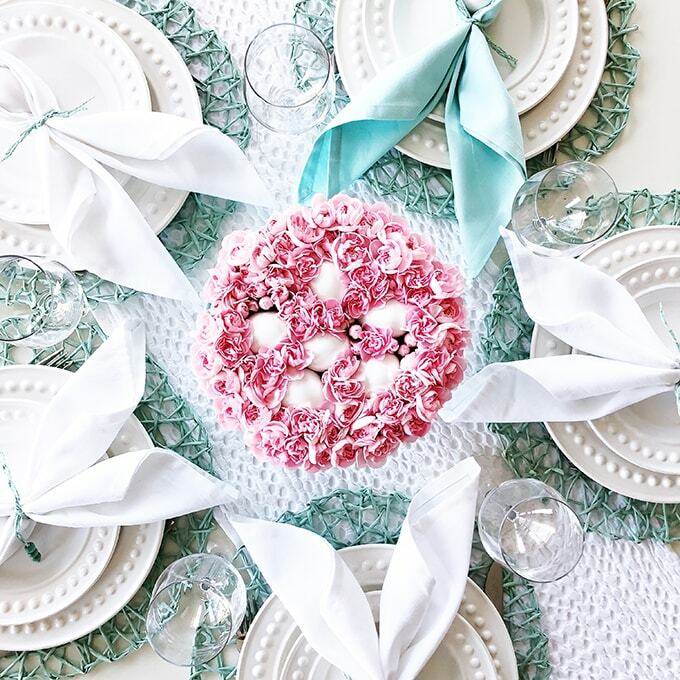 I made mine pink and white to complement the teal accents I had for the table. But quite honestly, the real reason I chose pink is because the pink carnations are what was available to me at the time. That’s the best thing about this arrangement though, you can use any colour that you like! Yellow is gorgeous, pink is pretty, white is lovely…the possibilities are endless! Then I finished off the arrangement with some Easter eggs. I chose not to decorate them with any dye because I thought the white was perfect. 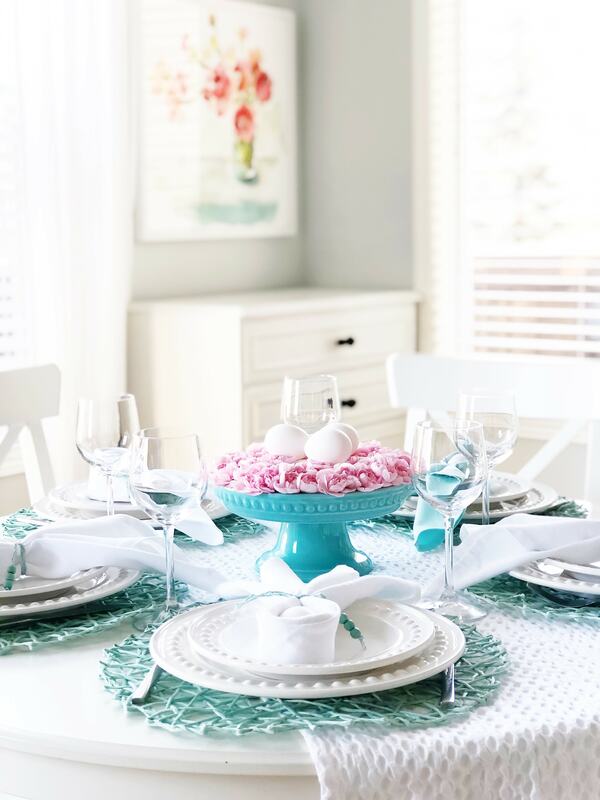 But you could have some fun with the eggs…dye them any colour that matches your table setting, or use this arrangement to display the pretty eggs your kids decorated. You just have to keep in mind that the dye will probably run because of the water in the dish for the flowers. Arrangement Tip! 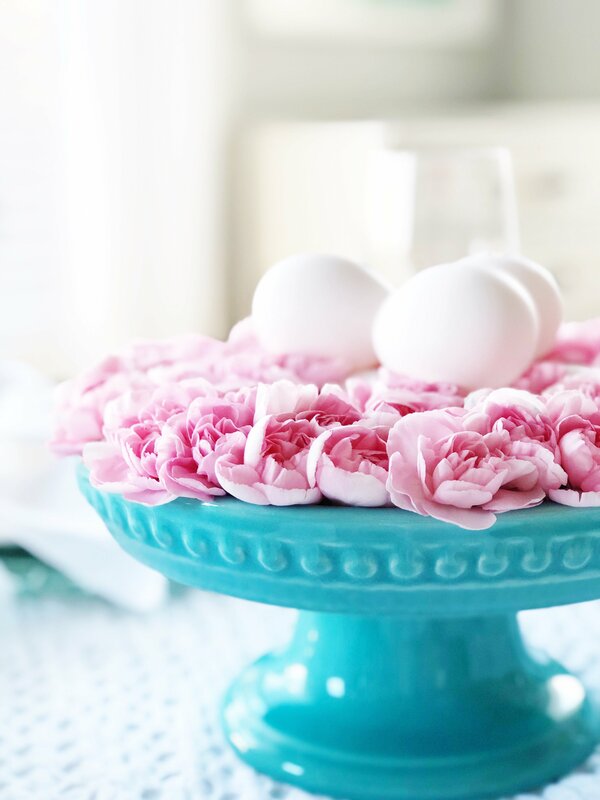 If you want to display decorated eggs, lay them on the top layer of the arrangement like in the picture below, that way they won’t get wet. This is such a simple arrangement for any time of year. Just switch up the colours of the carnations to match the occasion! cut the stems of the carnations off just below the green receptacle and above the peduncle, as shown below (image from The Creation Wiki). You want to keep the green nub in tact, as it is this piece that will be in the water in the dish. And here it is! 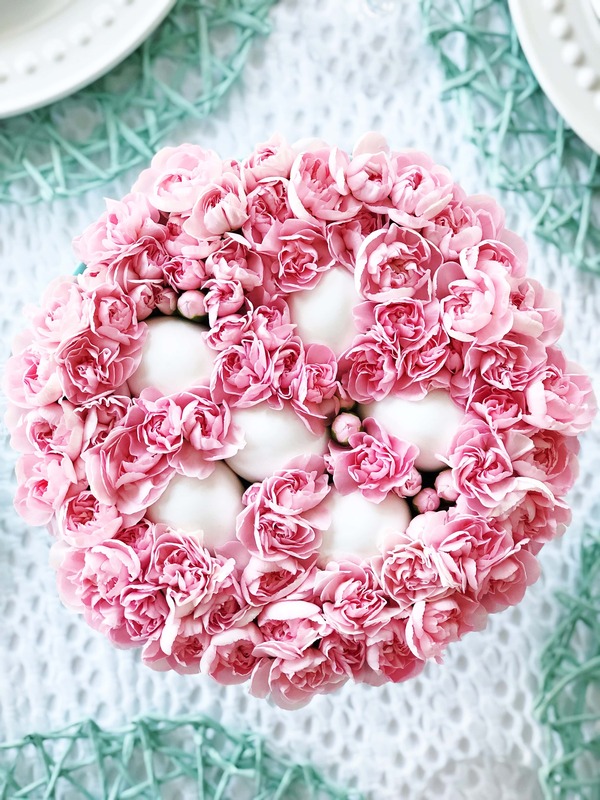 A gorgeous arrangement that is SO EASY to make! I absolutely LOVE how it turned out. It’s such a gorgeous centrepiece…and it smells amazing. Carnations have the most soft and lovely sweet smell. Don’t you think that carnations are such underrated flowers?! I mean, just look at their soft petals. 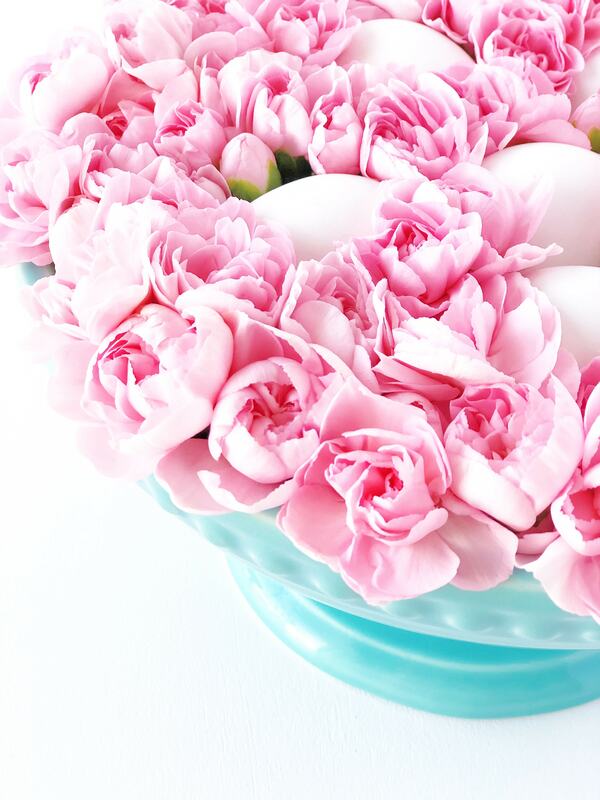 With this arrangement at the centre of your Easter table, you don’t really need anything else. I love the simplicity of it, yet it’s a showstopper. A simple and quick video tutorial on How to Make a Bunny Napkin (Bunny Napkin Fold). 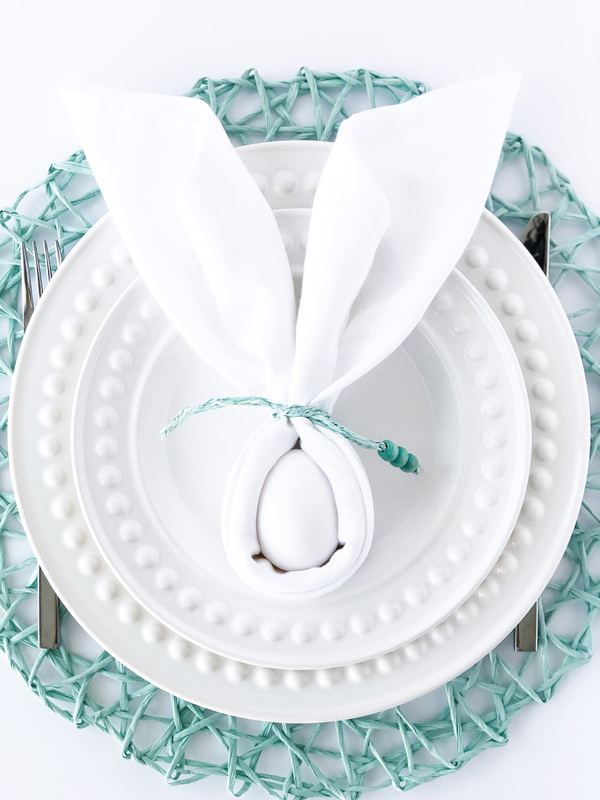 So cute for an Easter table setting! I really love Easter. Everything about it feels fresh and hopeful. It’s the time of year when the sun seems to shine brighter, the birds are singing and the air smells like rain. This is such a welcome relief after our long winter. All of this sunshine has inspired me to start planning for Easter with some decorating, menu planning and table setting ideas for our scrumptious Easter feasts! This year for Easter we are hosting a small group at our home, so I’ve been busy thinking about my Easter menu, and ways to set our table. 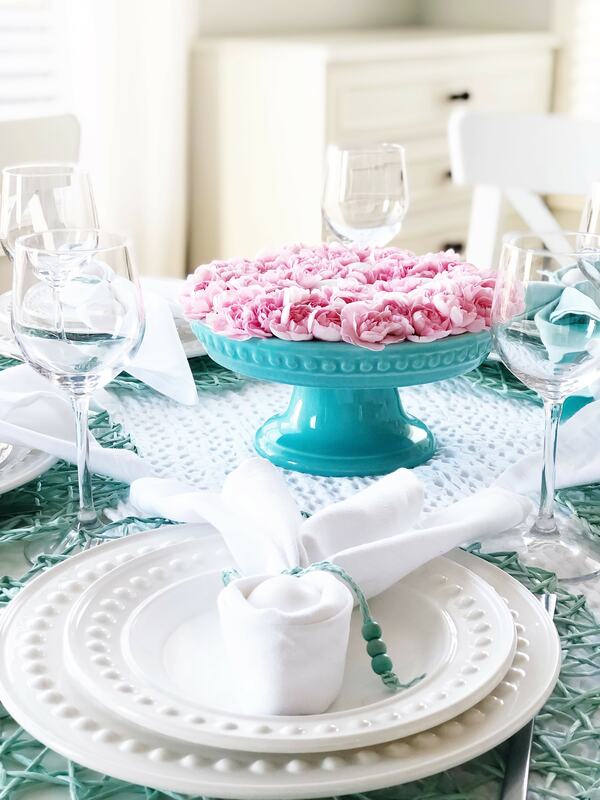 I really enjoy setting a table for special occasions…it’s such a lovely way celebrate a special day with friends and family. The most important thing for me when setting a special table, aside from it looking nice, is that it must be simple and quick to assemble. Because when dinner time rolls around and you’re busy making a big dinner come together, there’s just not a lot of time to set an elaborate table. That’s also why I like to have a table setting plan in mind before the dinner or brunch, so that I can quickly put it together. For this years Easter table I really kept it simple…I’ll show you the full table setting later this week, so make sure to come back then! 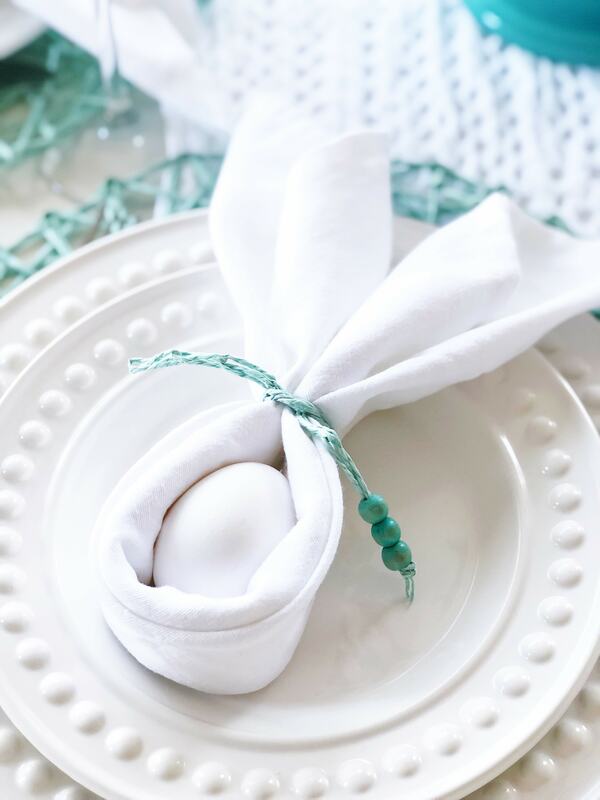 For now, I wanted to share a really simple, and really cute napkin folding idea that I think is perfect for an Easter table setting! 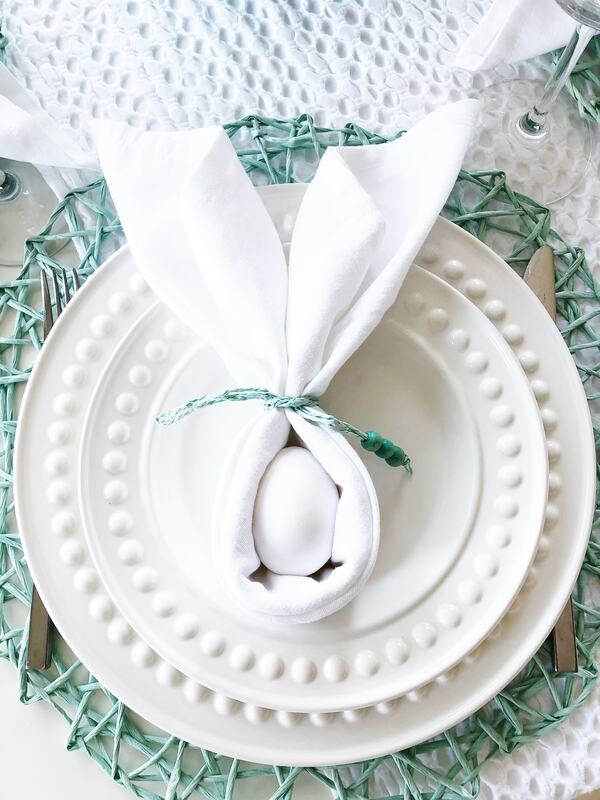 I’m always looking for fun and simple ideas to decorate, so when I saw a picture of some bunny ear napkins, I just knew they’d be perfect for my Easter table. They’re adorable. But best of all, they’re SO EASY to make. 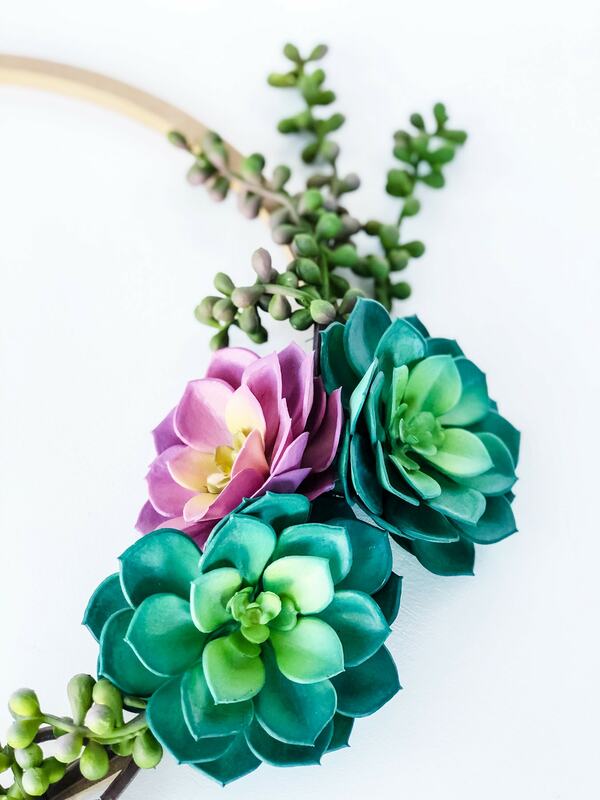 With just simple supplies and 30 seconds, you can make these! make sure to use boiled eggs! You can even use the eggs your kids decorated! 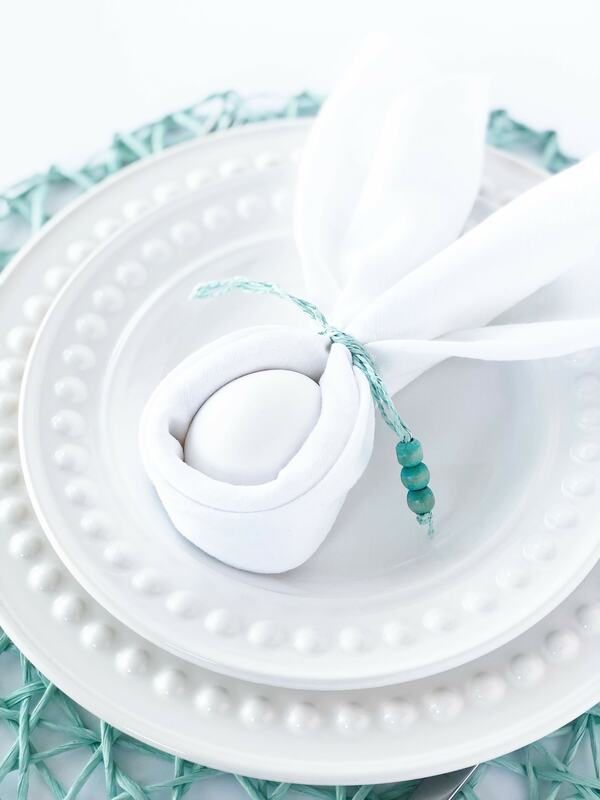 I’m showing you how to create this easy Bunny Napkin Fold in a quick video tutorial below. I hope you enjoy it and create some for your own Easter table setting! 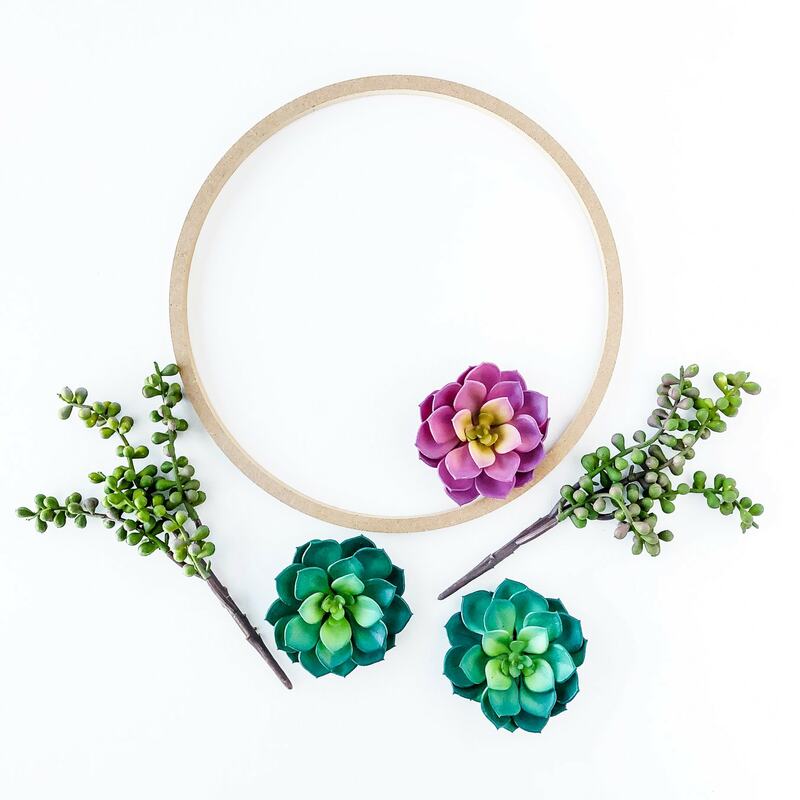 Make this Simple Succulent Wreath for Spring for less than $20 and with just a few simple supplies! I seem to have a theme going on this early spring. 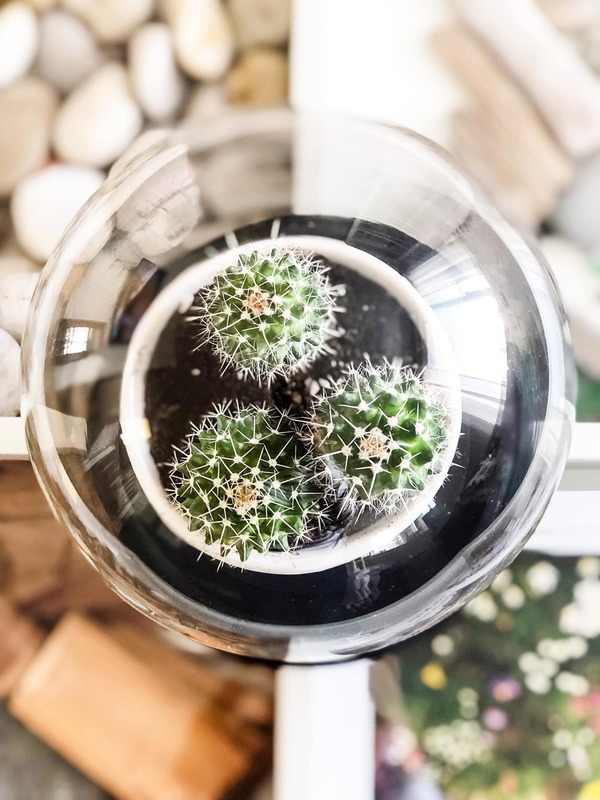 I’m all about plants…plants, succulents and cacti everywhere! 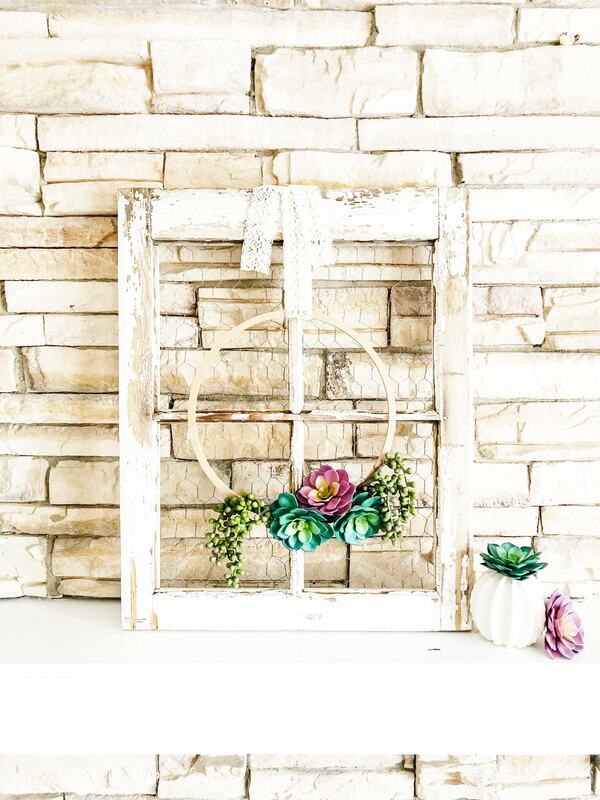 And this Simple Succulent Wreath is just an extension of that. 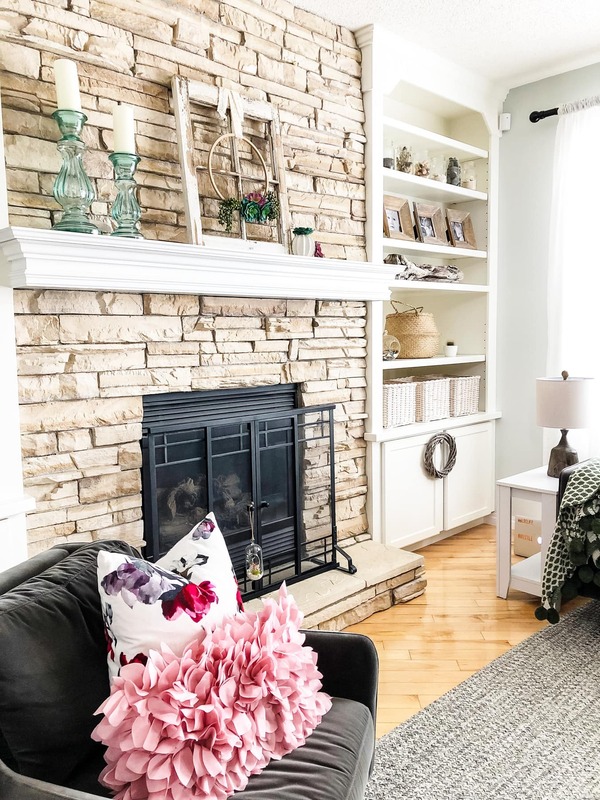 In case you missed my previous spring decorating posts, hop on over to see my Simple Spring Vignette with Cacti, and my Spring Living Room. I also shared a quick DIY on How To Grow Plants from Cuttings. All this talk about plants must mean that I’m craving spring big time! 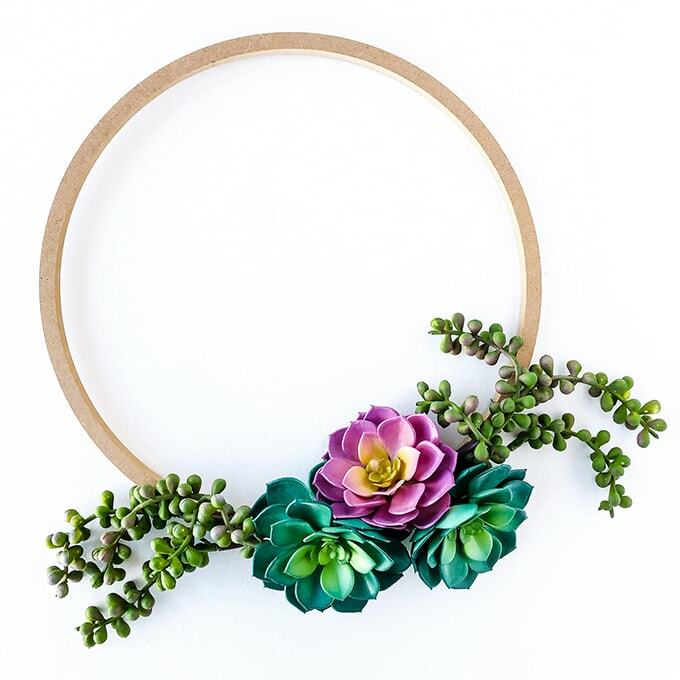 So naturally, when I decided to make a spring wreath, it had to have a plant theme. 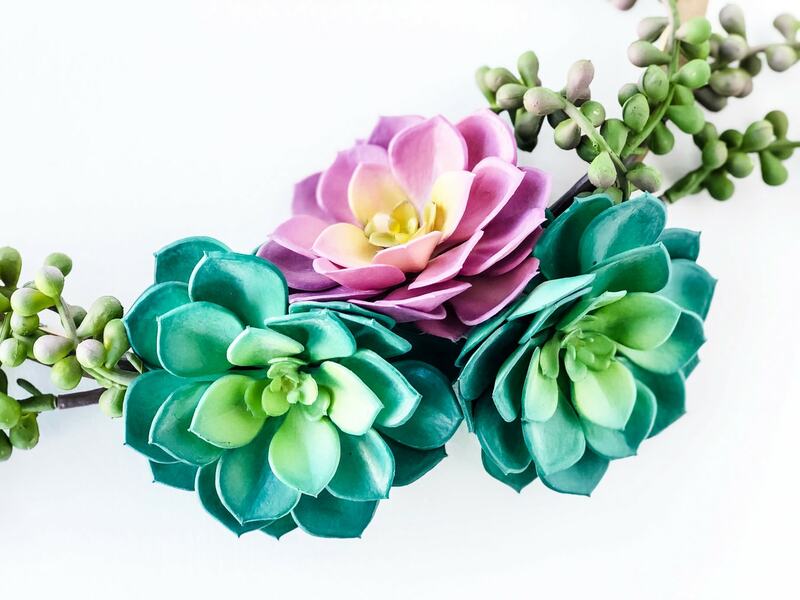 And when I found these pretty succulents in cheery colours at Michaels, I knew that they would be just perfect for my spring wreath. 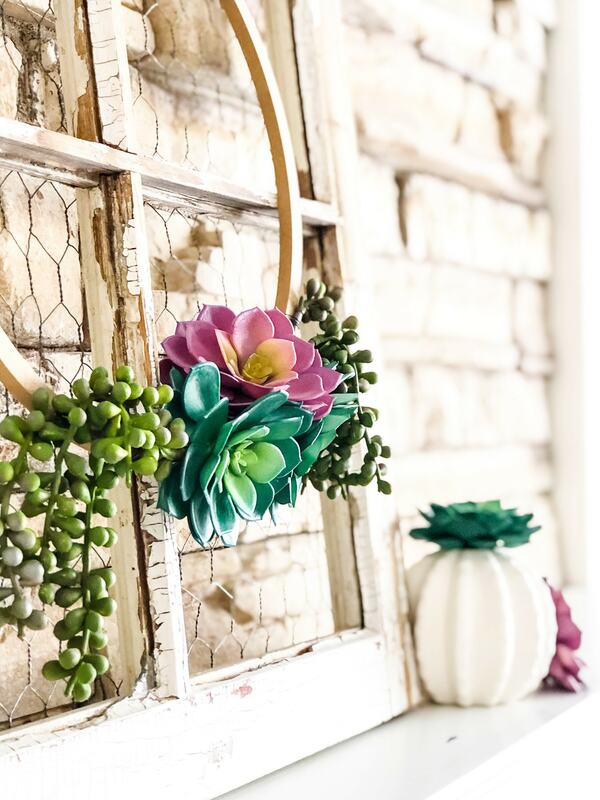 This wreath is a lot like the wreath I made in the fall…I loved the simplicity of that wreath so much, I wanted something similar for spring. This wreath is so simple to make. Honestly, it took me less than 15 minutes to create it, but that’s exactly what I wanted. 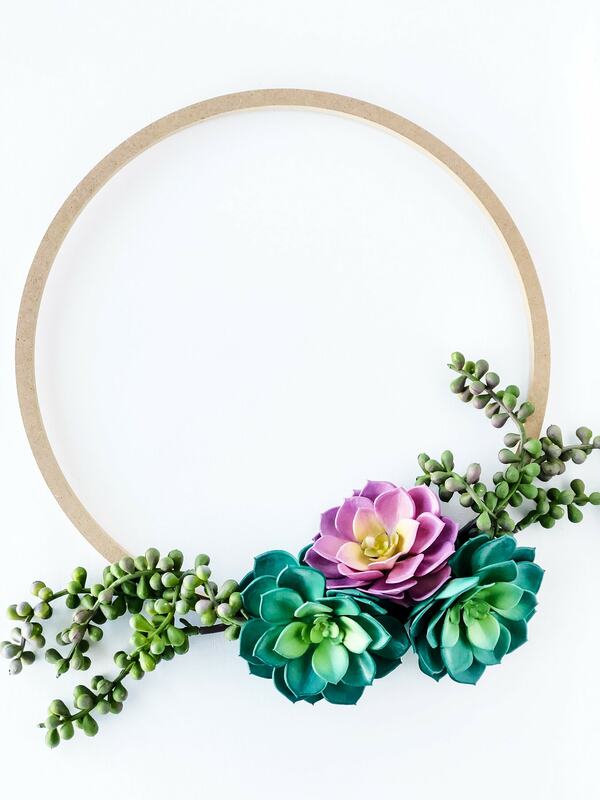 I wanted a wreath to hang in my living room that would quietly complement the rest of my decor. 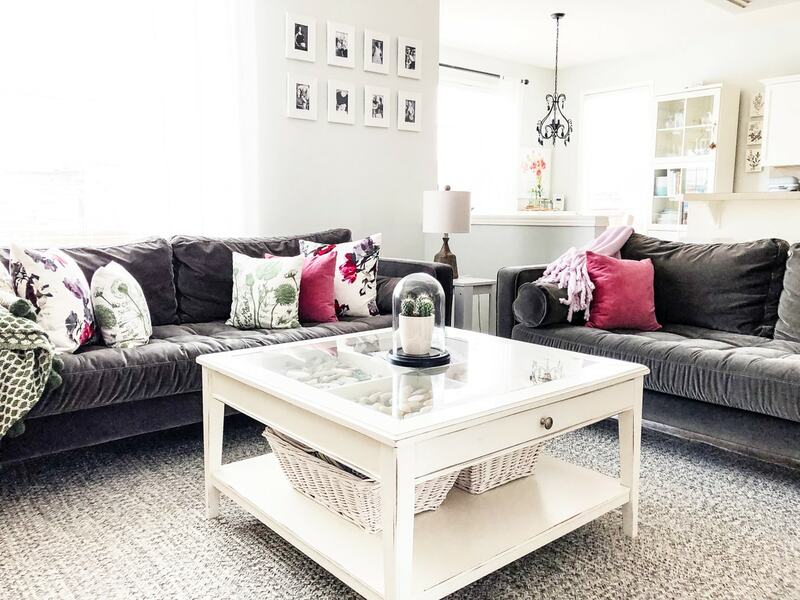 I already have quite a bit going on in my Spring Living Room, so I didn’t want anything to compete with all the colours and patterns I added. Instead, I wanted something to just blend in nicely. So I came up with this simple succulent wreath. This wreath took about 15 minutes to make, and cost less than $20! First I secured the succulents to the wreath base with some floral wire. Then I used a hot glue gun to really secure the succulents to the base. And to finish it off, I added a pretty ribbon for hanging. I really love how it turned out. I love the colours, the simple lines…so pretty. Once my wreath was completed, I hung it on an old wooden window frame, and put it up on my mantel. 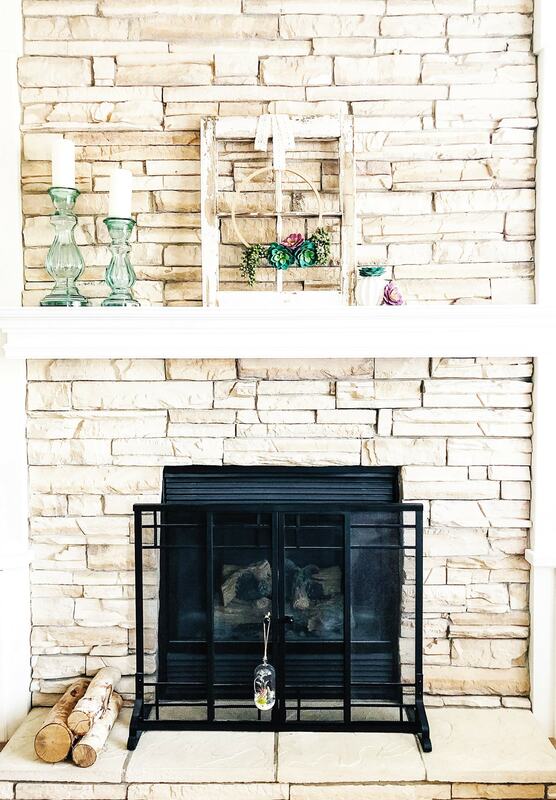 I love how it blends in nicely with all of my spring living room decor. It complements all the colours and patterns of my pillows and throws. 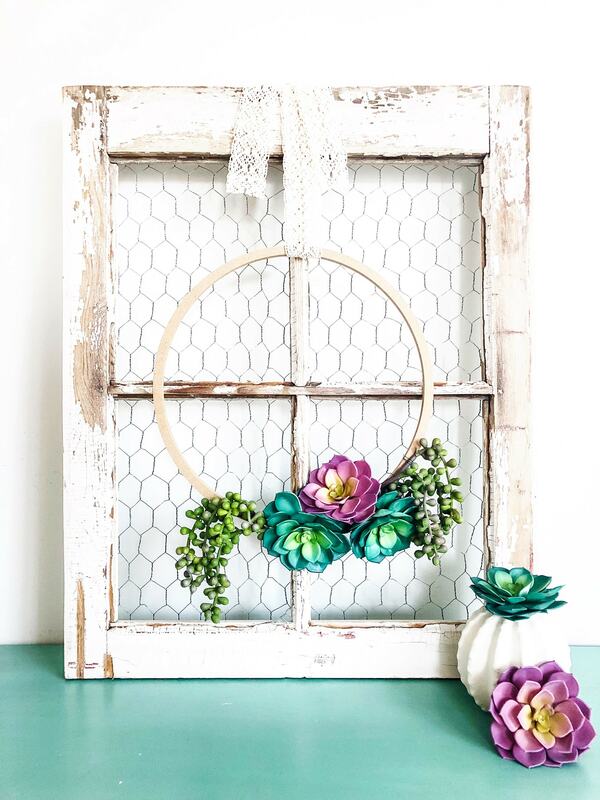 Such a simple wreath to welcome spring! It doesn’t have to be complicated to be beautiful. 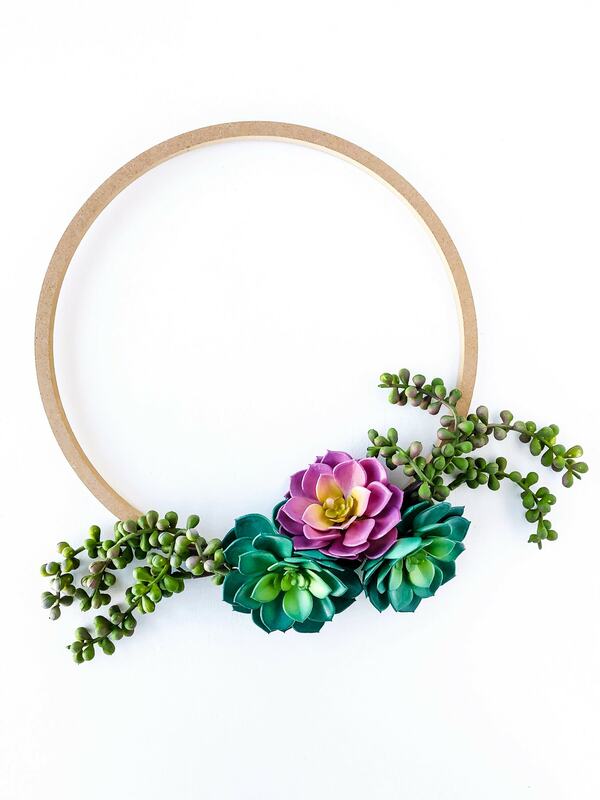 Make sure to take a tour to check out all these pretty spring wreaths! 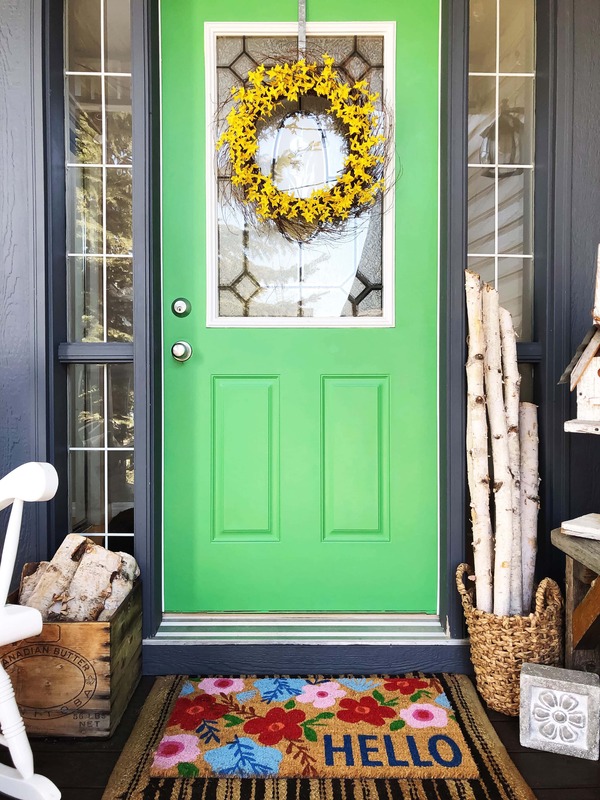 I hope you’ll be inspired to make a spring wreath for your own space. Happy Spring! 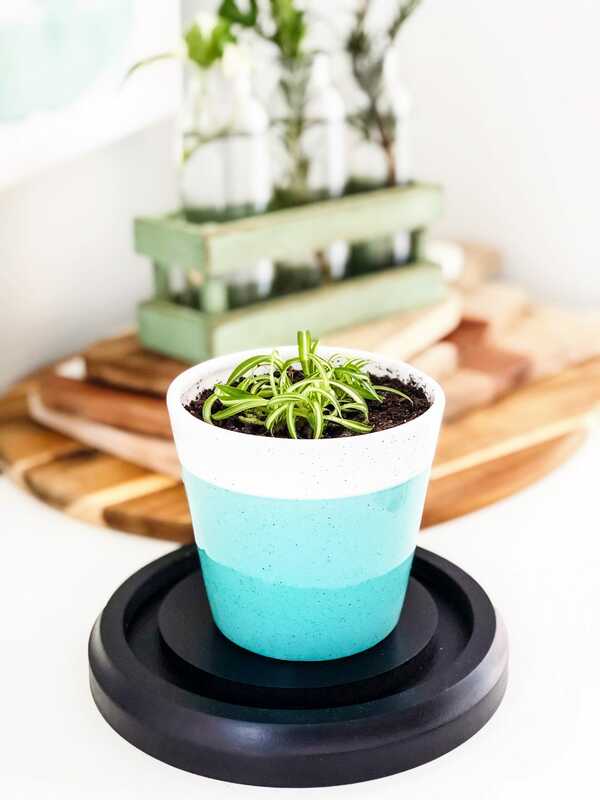 If you’re looking to increase your houseplant collection, this is the easiest way to do it! I’m going to show you How To Propagate Spider Plants! Spider plants are seeing a resurgence in popularity and I’m loving it. I grew up a kid in the 70’s and 80’s when spider plants were all the rage. My mom grew them and hung them from macrame plant hangers she made…oh man, if only I’d had the foresight to keep those treasures…who knew how popular macrame would become again! While I don’t think I’m going to be hanging plants from my ceilings any time soon, I am loving having green life in my home again. Plants make a home feel alive…and after the loooooongest winter ever, this is a really really good feeling. It’s just SO EASY to grow new plants and not have to do it from seed. 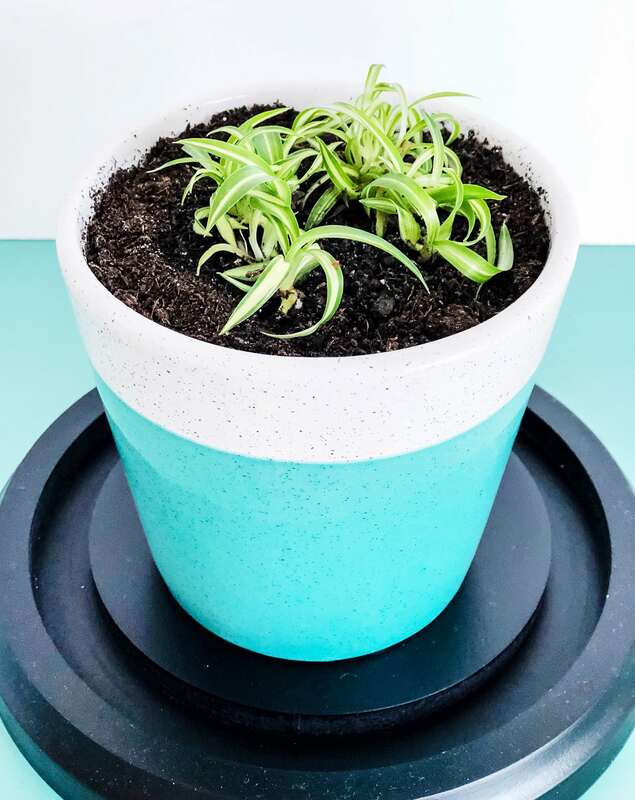 A while back I shared how simple it is to root plant cuttings in water, and today I’m sharing the most simple method ever, for growing spider plant babies. You can cut the spider babies (spiderettes) off the mother plant and root them in water. Refer to my blog post here for instructions on how to do that. 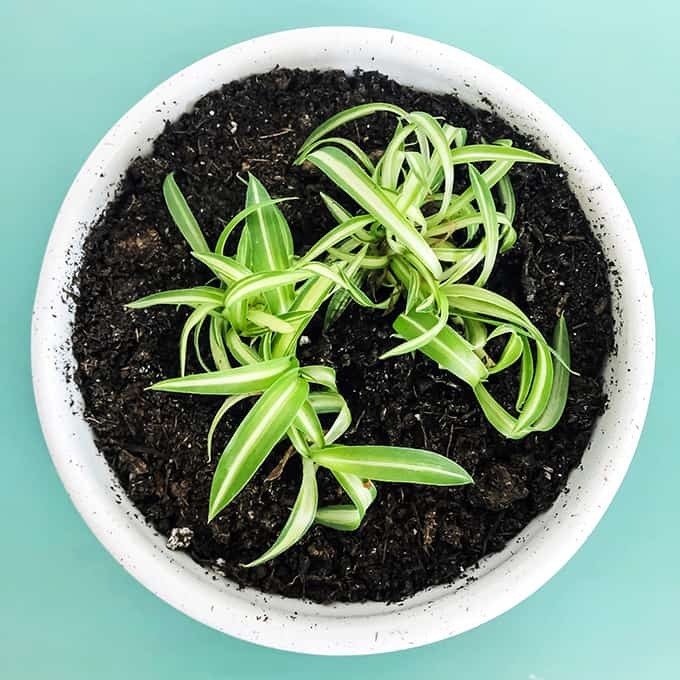 Propagating spider plants in soil is the easiest and most tolerated method for little plants. 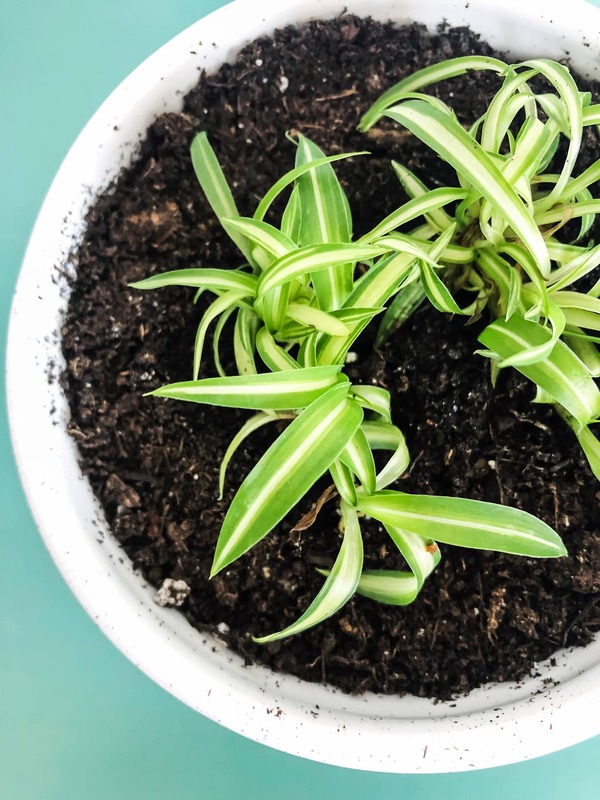 You can leave the spider babies attached to the mother plant, and simply place the babies in soil. 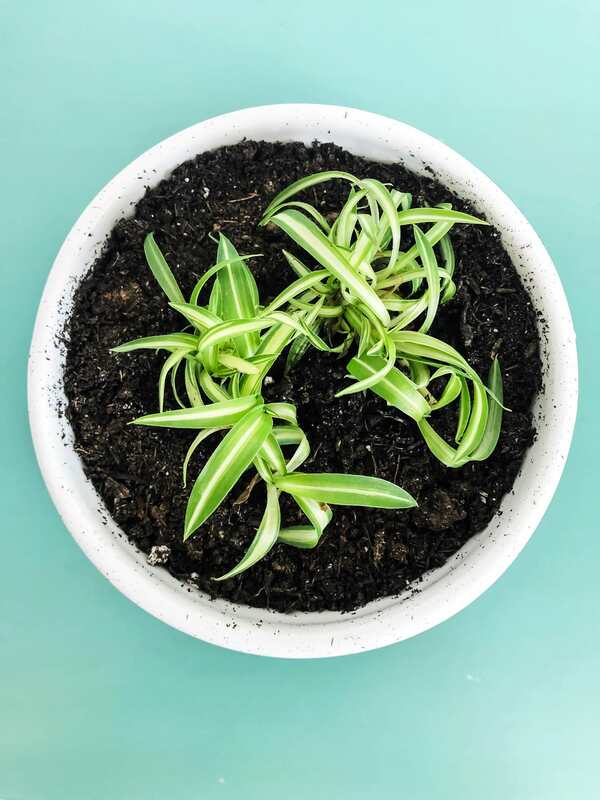 Or you can snip off the spider babies and place them in new pots of soil, like I have done here. Snip off the spiderette from the mother plant. I snip the stem off as close to the spiderette as possible. 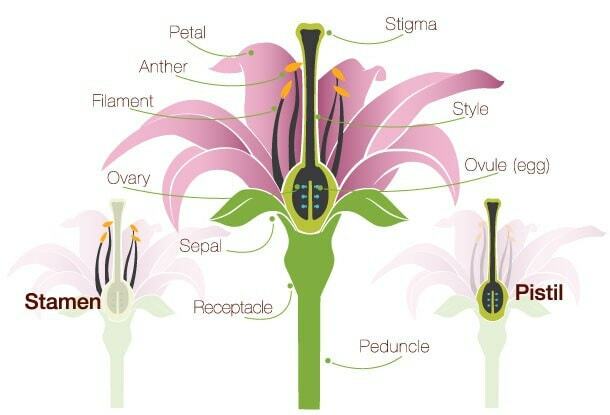 Then, if you look closely at the bottom of the spiderette you will see little knobs or roots. Simply place the spiderette onto a pot of soil, and gently press it in so that the little roots are covered by soil. That’s it. You’ve propagated a spider plant! 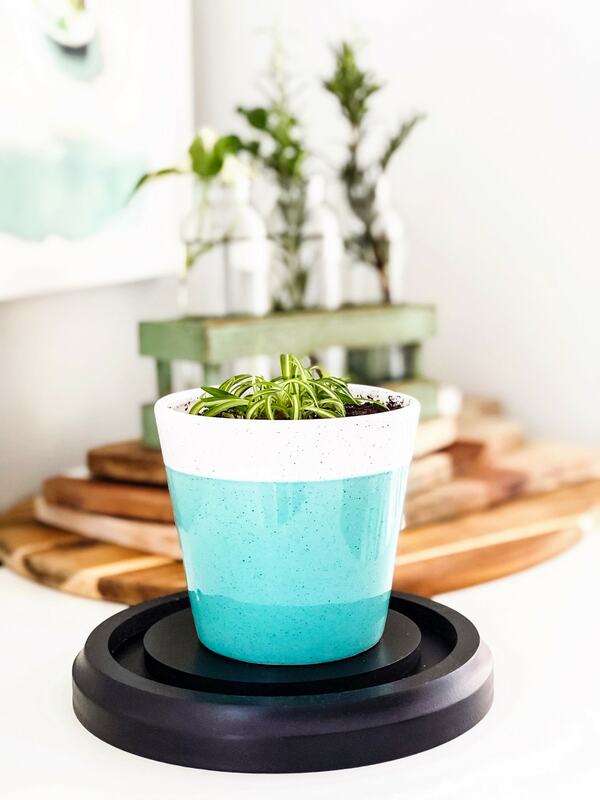 Now all you have to do is wait and watch a new spider plant grow. 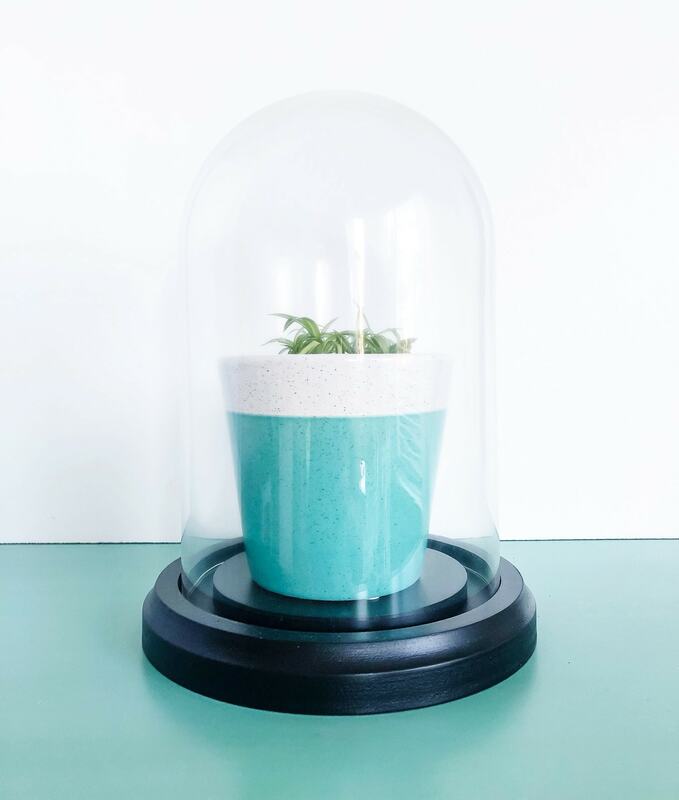 Use a cloche to house your new plant as it roots and grows…it acts like a mini greenhouse, offering moisture and protection for the little spiderettes. You should start to see good roots in 7-10 days. This particular planting that I created is actually 2 spider babies, and they’re about 1 week old and have doubled in size already! I’ll come back here in a few months time and update this post again with a new picture of my growing spider plant, so you can see how it’s grown over time! Craving pie? 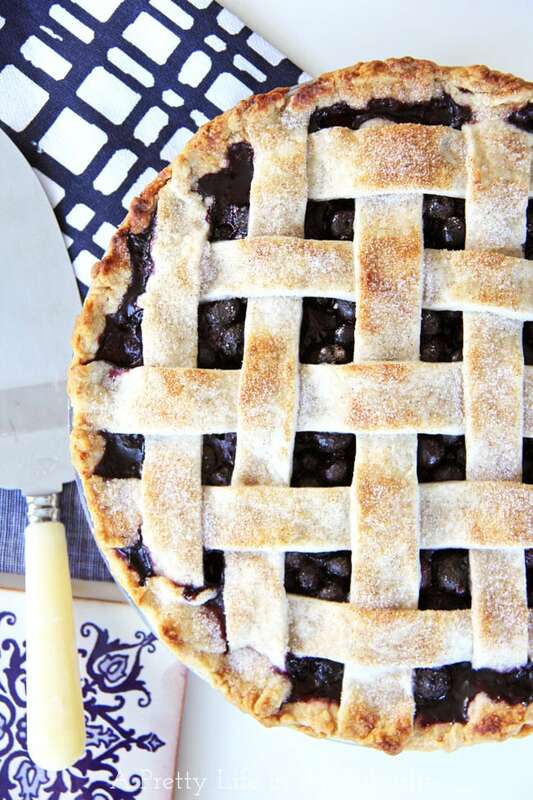 I’ve got you covered with these 12+ Delicious Pie Recipes. If you love pie then you’re in for a treat today! 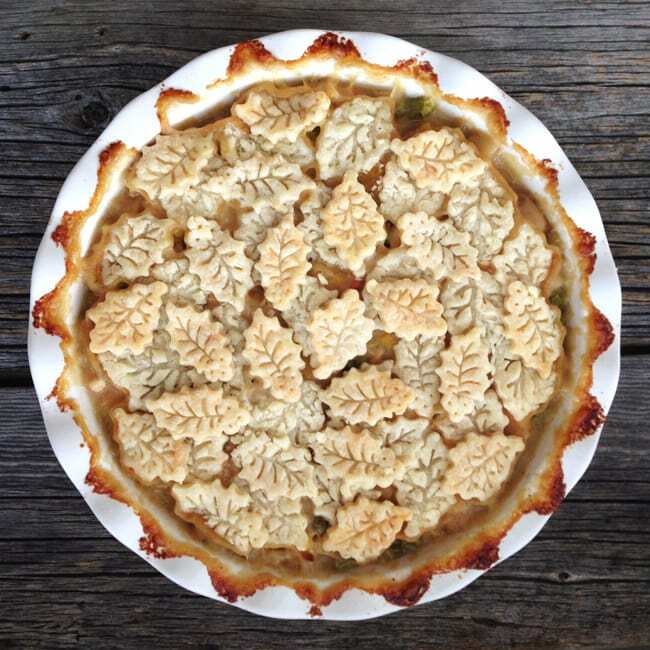 I’m sharing so many delicious sweet and savory pie recipes. 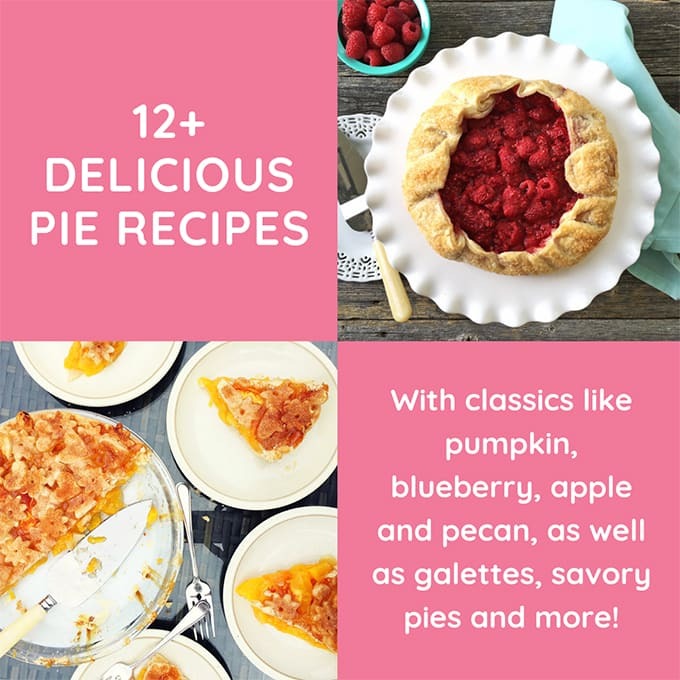 Everything from classics like pumpkin, blueberry, apple and pecan pie, to galettes, to chicken pot pie, mincemeat pie and more! This Summer Peach Pie is a perfect dessert! 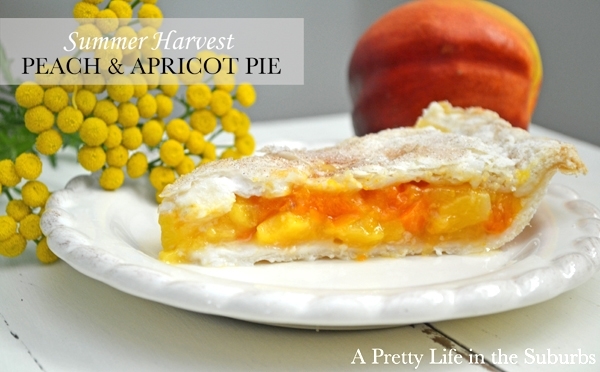 The crust is tender and flaky, and the filling sweet and full of delicious peach flavour. 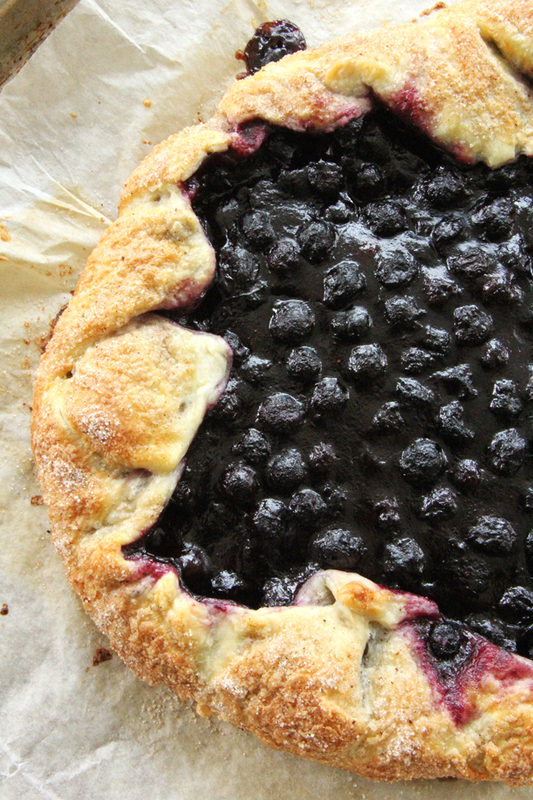 This Blueberry Pie is the perfect summer dessert…or really any time of year dessert! It’s delicious served slightly warm with a scoop of vanilla ice cream. 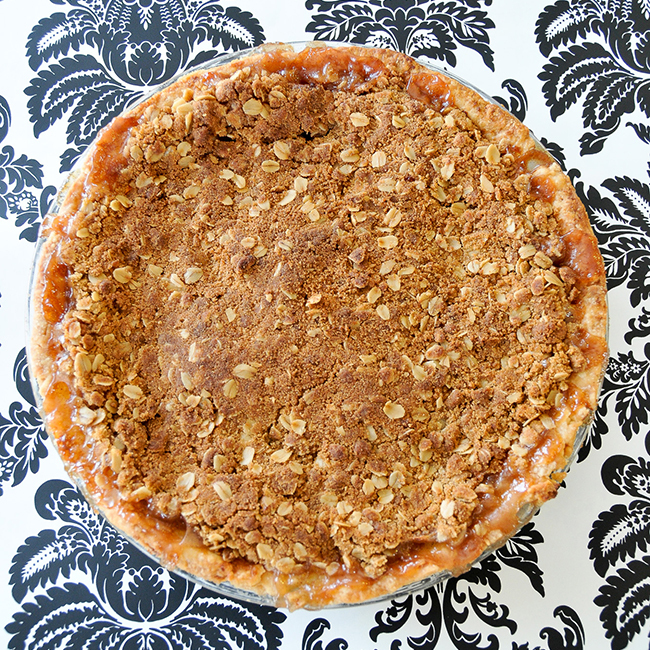 The cinnamon oat crumble topping on this Apple Crumble Pie is a delicious twist to classic apple pie! 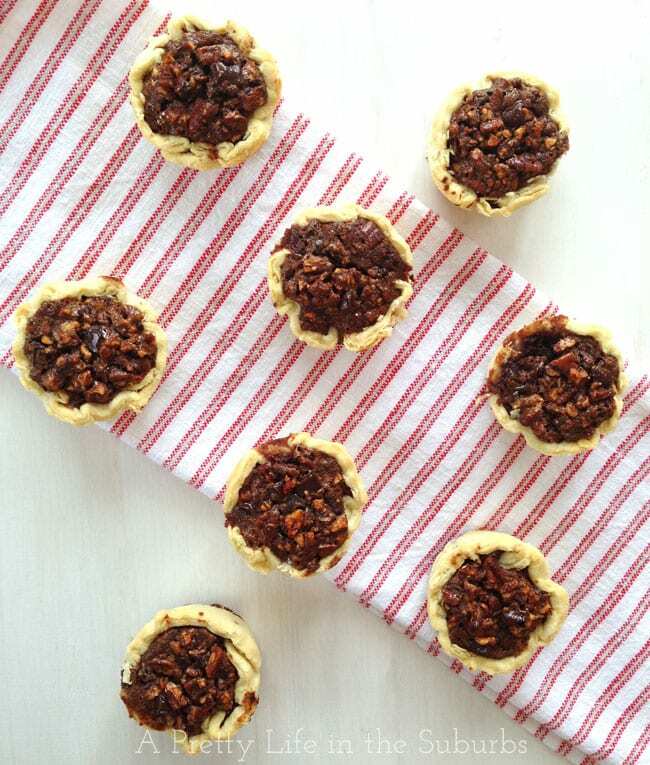 These Chocolate Pecan Pie Tarts are a delicious take on classic pecan pie. 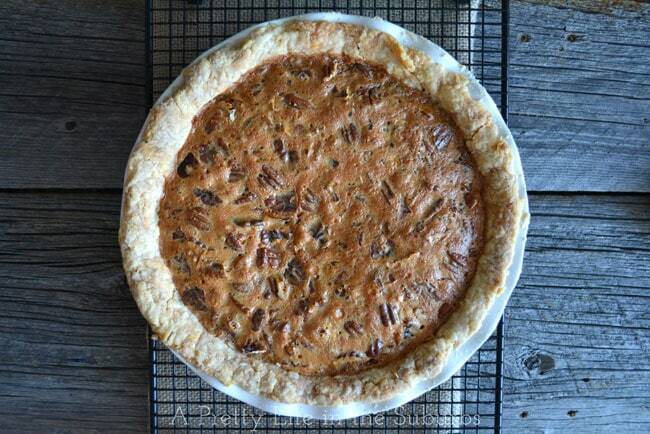 With a flaky pie crust, and chocolate and pecans in every bite. YUM. 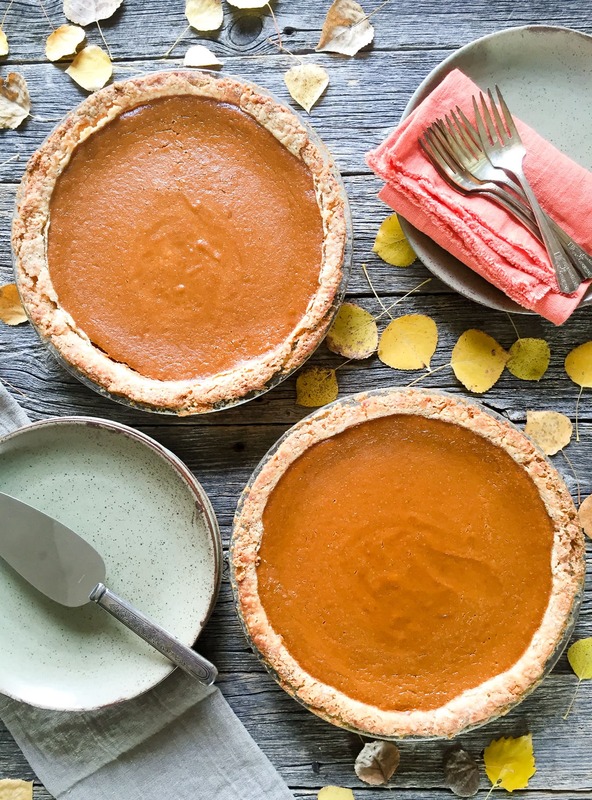 A Classic Pumpkin Pie recipe. Creamy, rich and full of delicious pumpkin & pumpkin spice flavours. Serve with whipped cream. A rich and delicious Pecan Pie recipe. Loaded with pecans and creamy caramel filling. Excellent served with vanilla ice cream or whipped cream. A holiday showstopper pie. 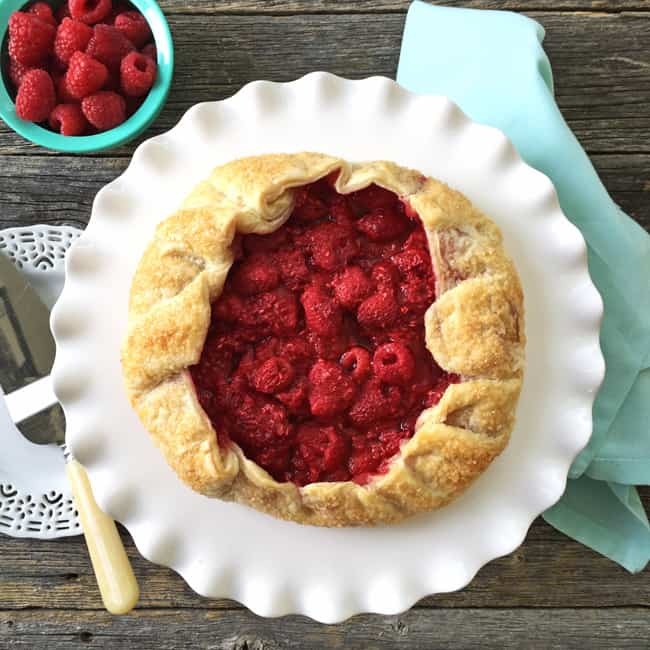 This Raspberry Galette is a simple and delicious dessert idea! Use a pre-made puff pastry crust to save time. So good. This really is The Best Apple Pie. The crust is tender and flaky, and the filling perfectly apple-y! 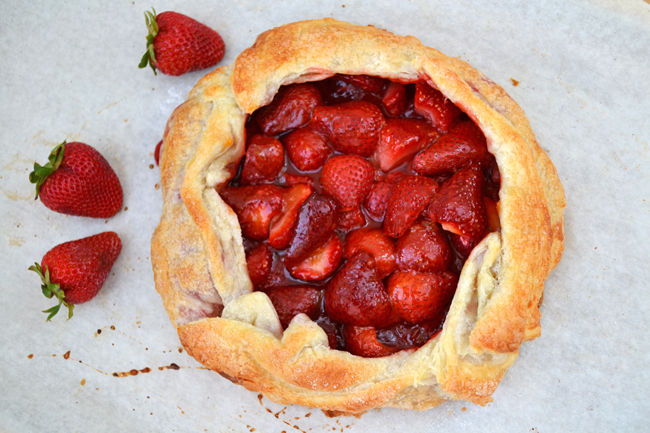 This Rustic Free-Form Strawberry Pie is the easiest dessert to prepare! Made with a pre-made puff pastry crust and a simple fresh strawberry filling. 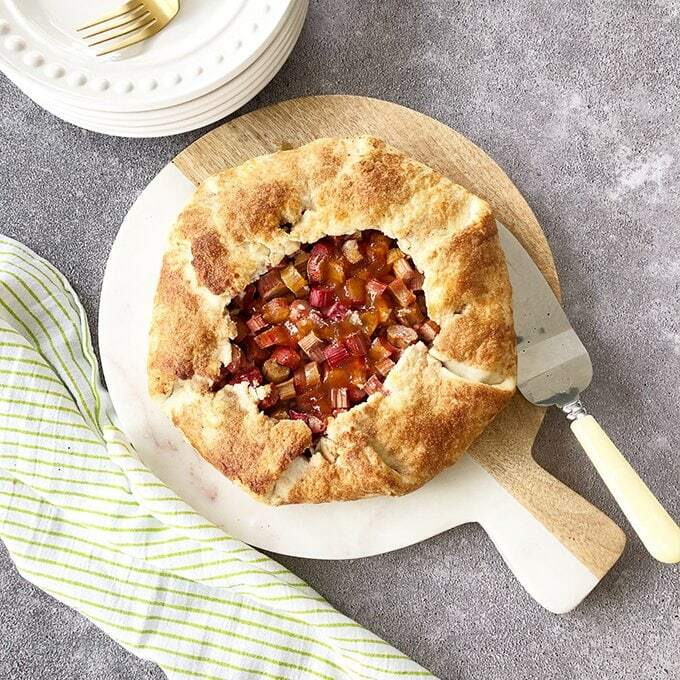 This Strawberry, Rhubarb and Apple Galette is an easy and delicious dessert recipe can be on your table in under one hour. All you need is a pre-made frozen puff pastry crust and some seasonal fruit. This Strawberry Rhubarb Pie is tangy and sweet and oh so good! Classic and delicious. 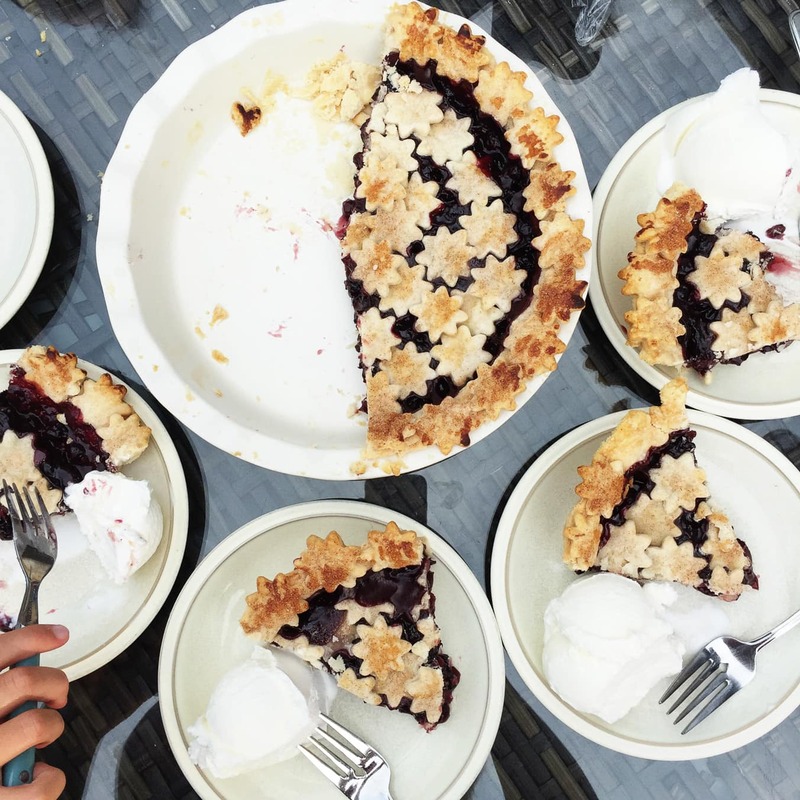 This Saskatoon Berry Pie tastes like summer! Serve it warm with a scoop of vanilla ice cream. This Saskatoon Berry Galette is a delicious dessert idea that uses a really great baking shortcut! A great way to use up these delicious summer berries. 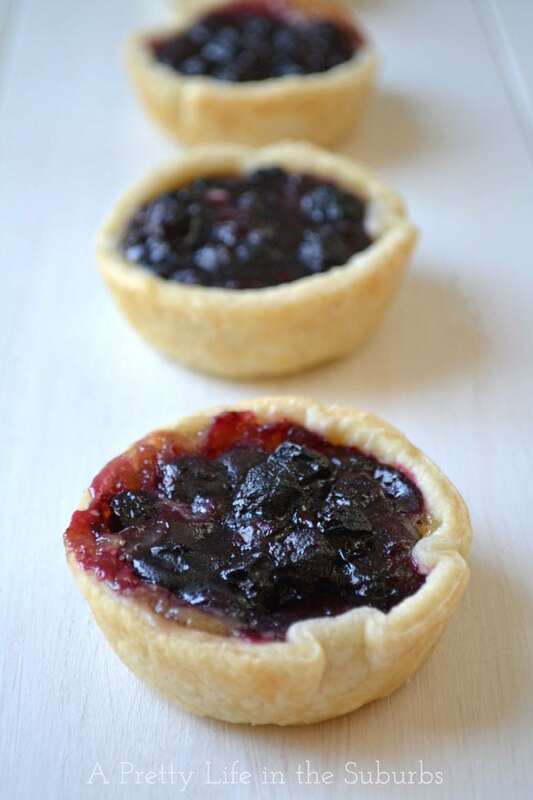 These Saskatoon Berry Butter Tarts are a delicious twist on the classic Canadian treat, butter tarts. 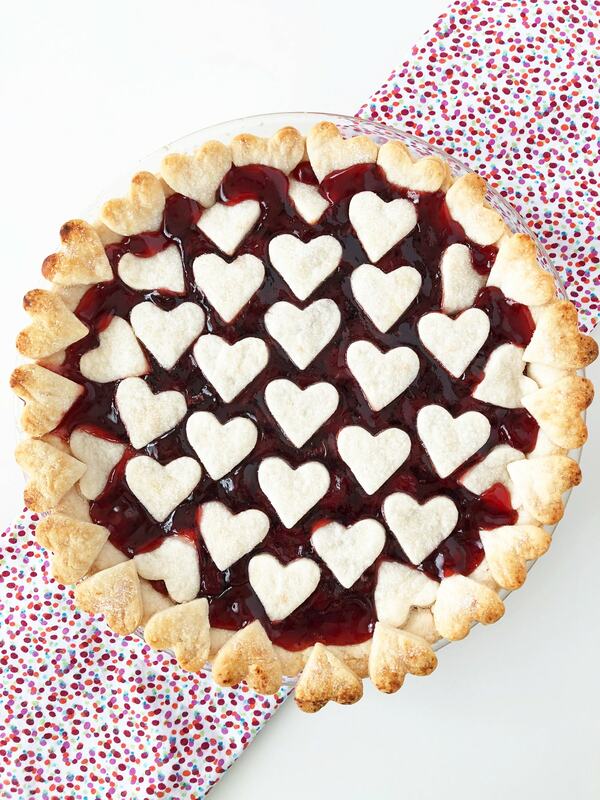 Make this sweet Cherry Pie for Valentine’s Day, or for your love any time of year! The easy to create crust is made with mini heart cookie cutters. 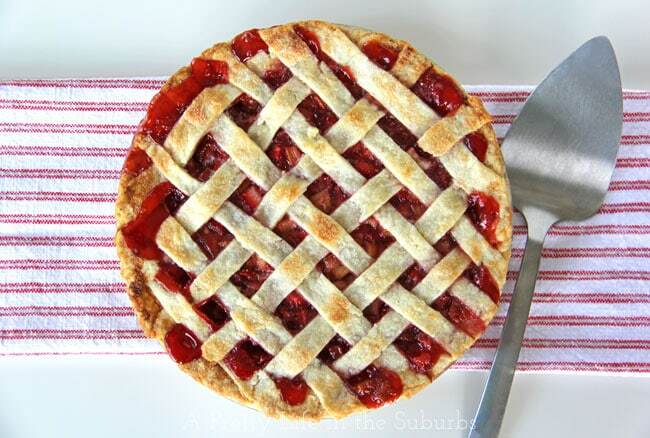 But the secret to this pie is store bought cherry pie filling. Shhhh, don’t tell anyone. 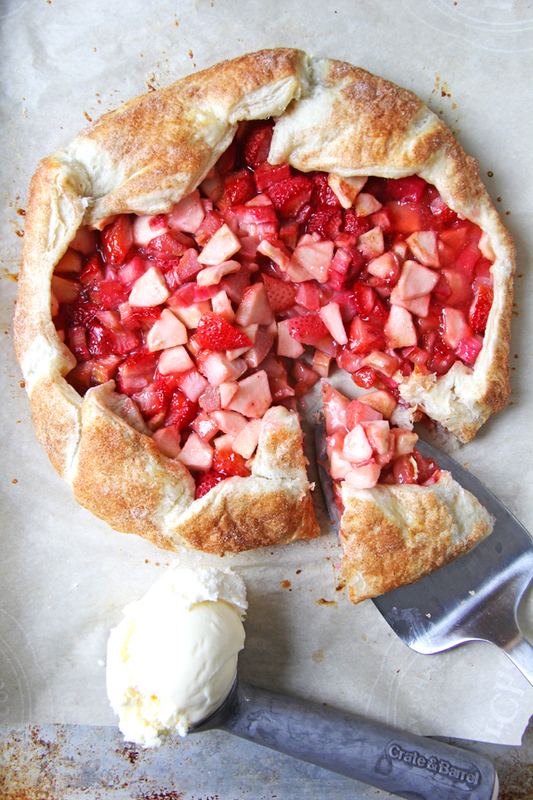 This Rhubarb Galette is tangy and sweet and oh so good! Classic and delicious. A great way to use up the bounty of spring rhubarb. 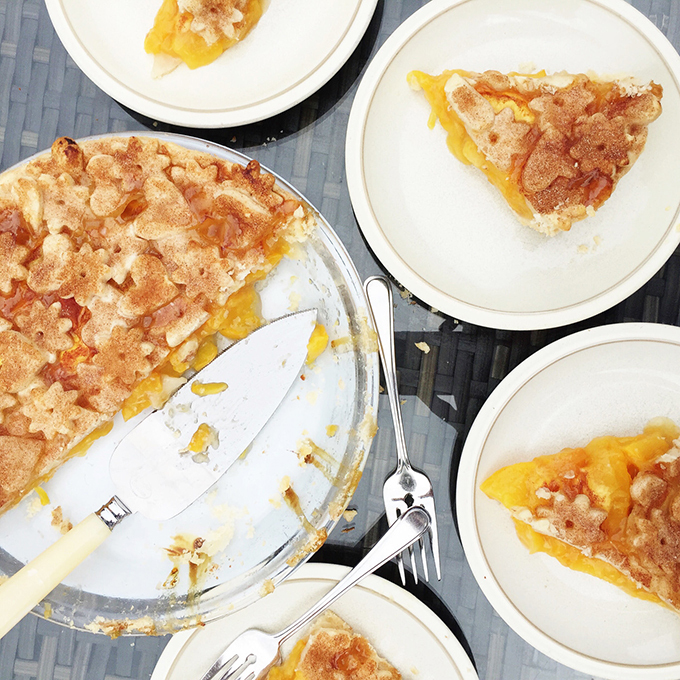 Peaches and apricots are a perfect pair in this Peach Apricot Pie. So delicious. 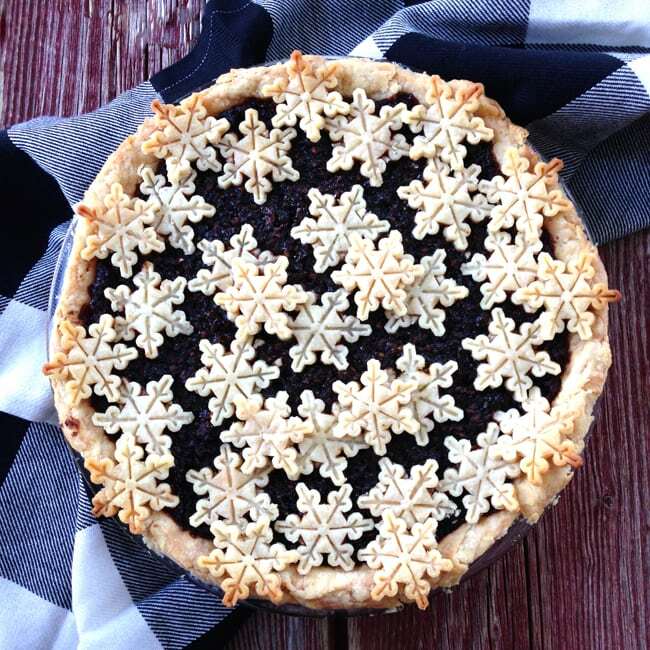 This Mincemeat Pie is the perfect Christmas dessert! Serve it up warm with a big scoop of vanilla ice cream…delicious! This Chicken Pot Pie is the stuff comfort is made of. Warm, hearty, healthy and deeeeelicious! 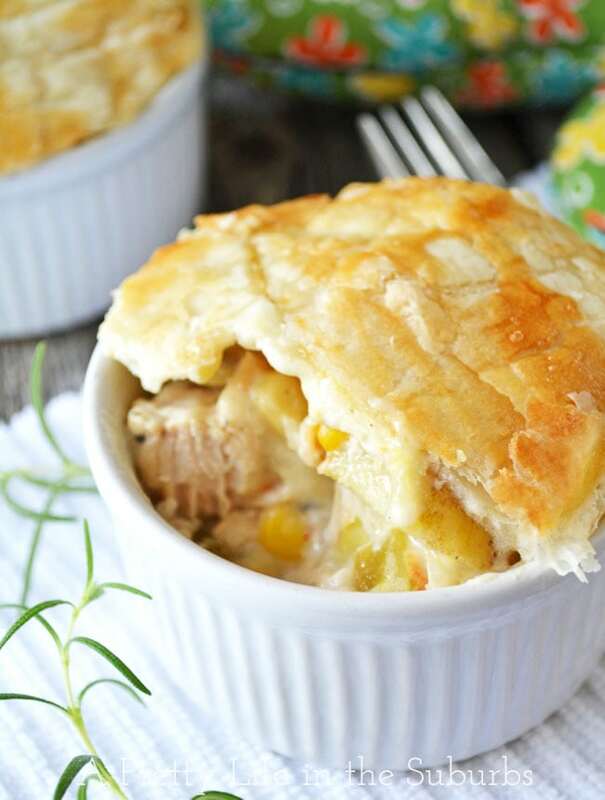 This Turkey Pot Pie is a delicious way to use up your turkey leftovers. Don’t be intimidated by the top crust, it’s easy to make. 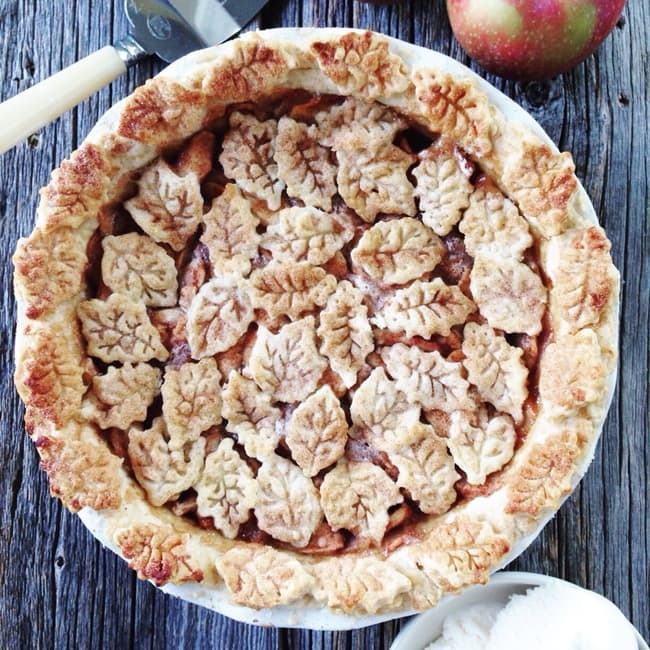 Or you can just use a standard pie crust too. Either way, this dish is dee-lish! 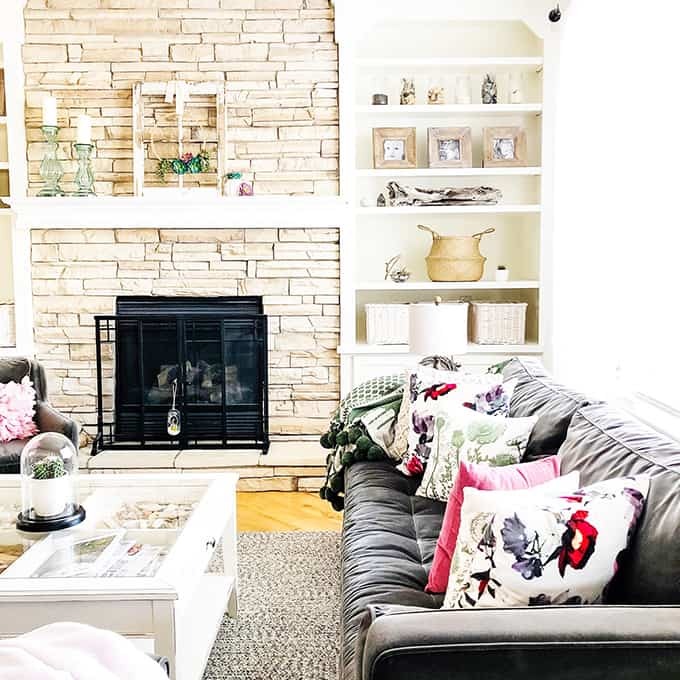 Decorate for Spring in the Living Room! 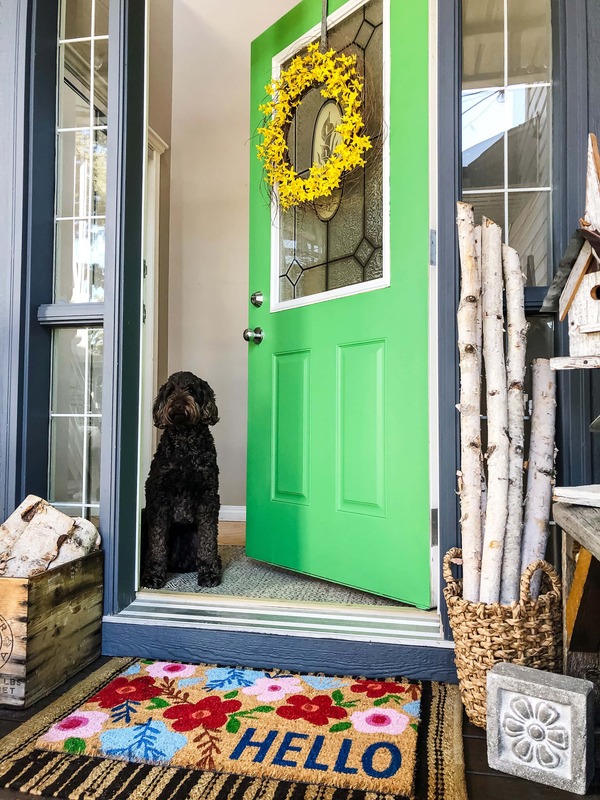 Simple ways to add some seasonal spring cheer to your home. Hello friends! 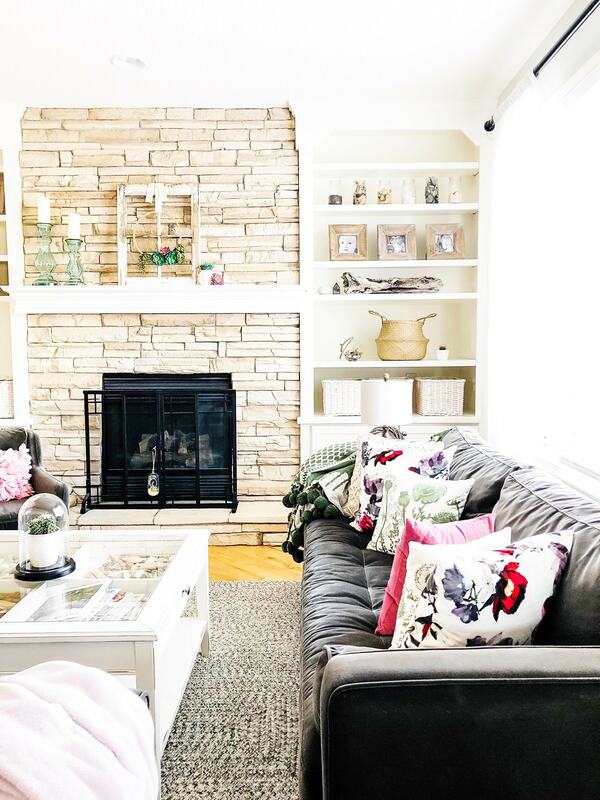 This week I’ve joined 37 blogger friends as we come together to share our homes all decorated for spring! 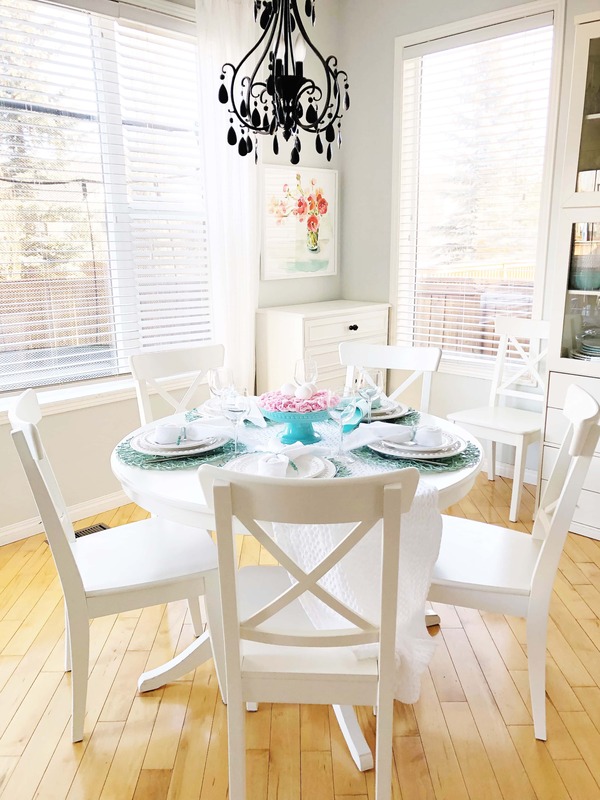 These tours are part of the Seasonal Simplicity Spring Series hosted by Krista of The Happy Housie. In case you missed my first two posts in this spring series, you can read find them here –> How to Grow Plants from Cuttings, and my Simple Spring Vignette. Be sure to visit all the spring home tours in the links at the bottom of this post. If you’re coming over from Jennifer’s home at Town and Country Living, welcome! Today, as part of this tour, I’m sharing my living room all decorated for spring…or early spring…or wishing it was spring. At any rate, it’s spring inside! I decided to decorate my home for spring in stages this year. 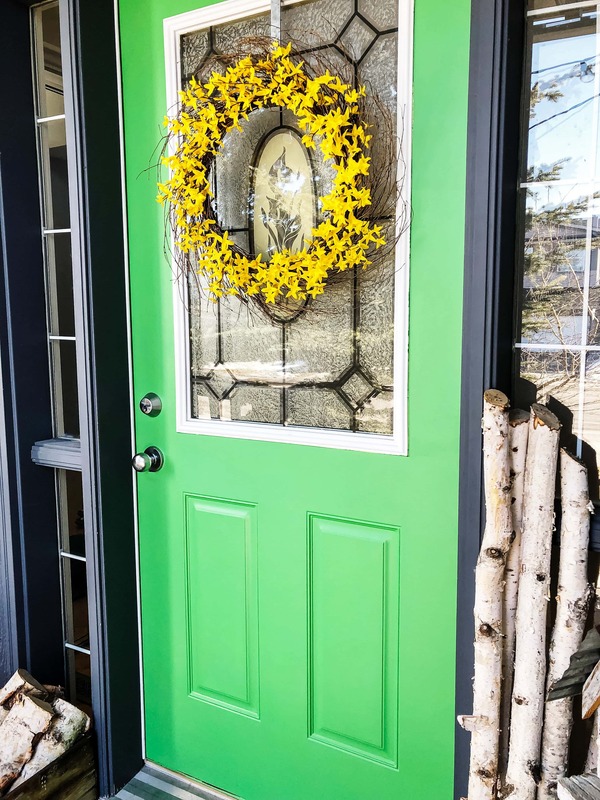 This is my early spring decorating with colours that are a little more rich than you might think of for spring. I was really drawn to these dark, yet vibrant colours, because the truth of the matter is, we still have about 2 feet of snow outside. And I just wasn’t in the mood to pull out all the bright pastel colours. 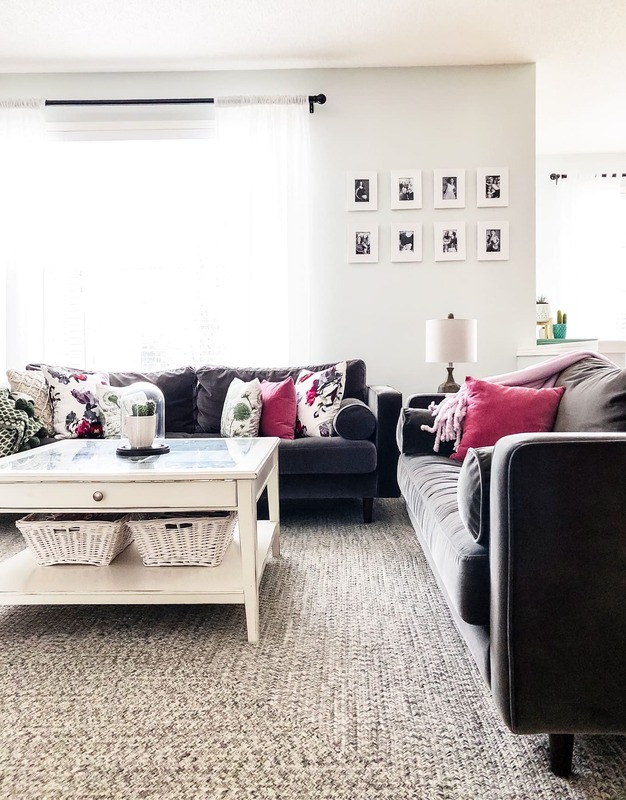 I also wanted spring decor that could easily transition from winter to spring…so still bright and cheery, but not full on spring, know what I mean? I think I’ll really spring things up when I bring out my Easter decorations, but that won’t be for a couple more weeks. 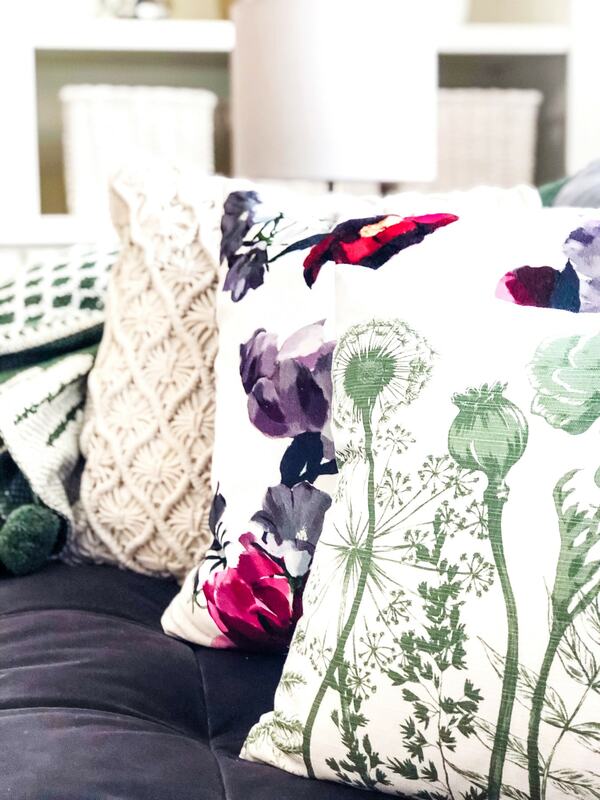 The inspiration for my spring living room came from these vibrant floral pillows that I found at Chapters. 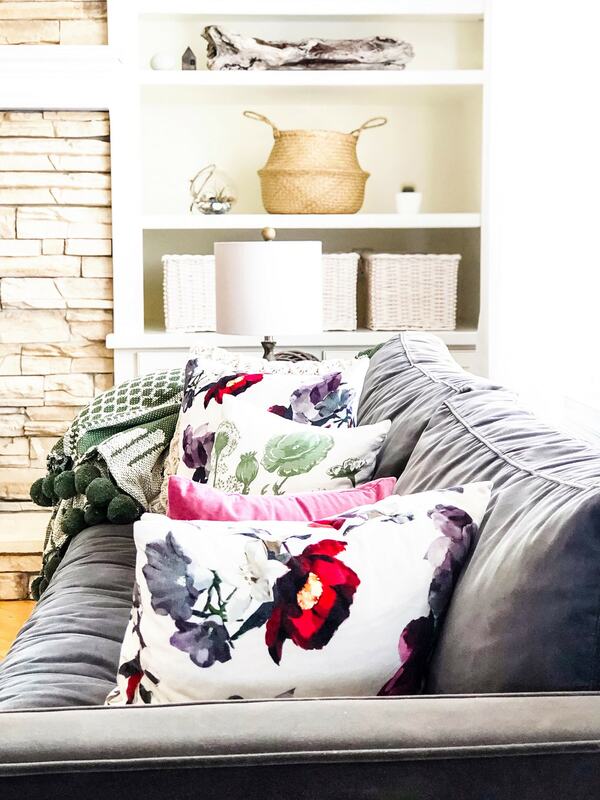 I was drawn to the bright pattern and velvet fabric…I just knew they would look perfect on our velvet couches. And because I can’t stop at two pillows, I added more. I found the 2 green floral pillows and 2 velvet rose coloured pillows at H&M, in their home section. Who knew H&M had a home section?! They had so many beautiful pieces that were very reasonably priced. It took everything in me not to buy all. the. pillows. Gorgeous. I love pairing patterns with patterns and more patterns. I think as long as the colours compliment each other, it works. 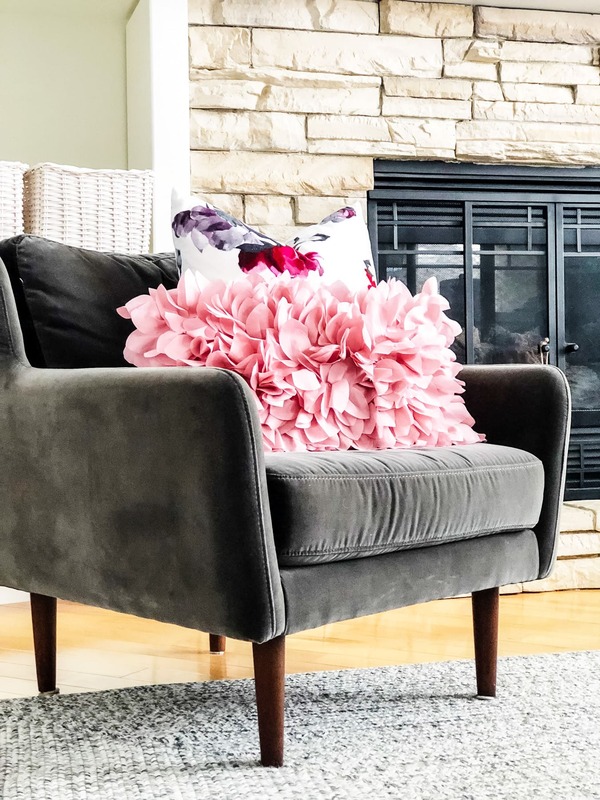 I also added a couple new throws to compliment everything…but also because every couch needs throw blankets! Then I finished off my decorating with some plant life. It’s been years since I had live plants in my home. Can you believe that?! Years. That’s actually ridiculous. 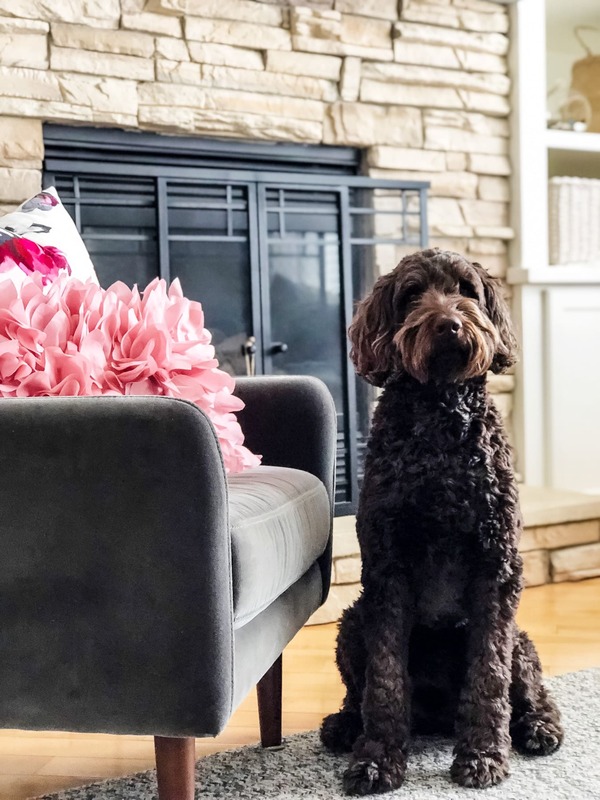 I used to have a house full of plants, but then I had babies, then toddlers and puppies, and I got rid of them all…not the kids or puppy, the plants! 😉 But now my babies are all grown up enough to leave them alone so I’ve slowly started to bring in some plants, and I love it! Nothing fancy yet, just a few air plants, succulents and cacti. I even decorated an entire spring vignette with cacti! 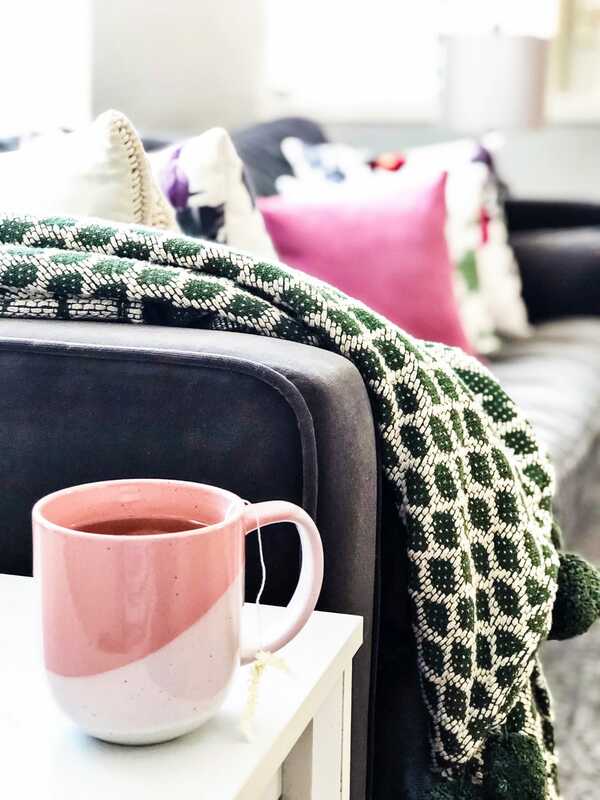 Now there’s nothing left to do but sit back on my cozy pillow laden couches and sip tea until actual spring arrives. I can’t wait. Thank you so much for touring my living room! 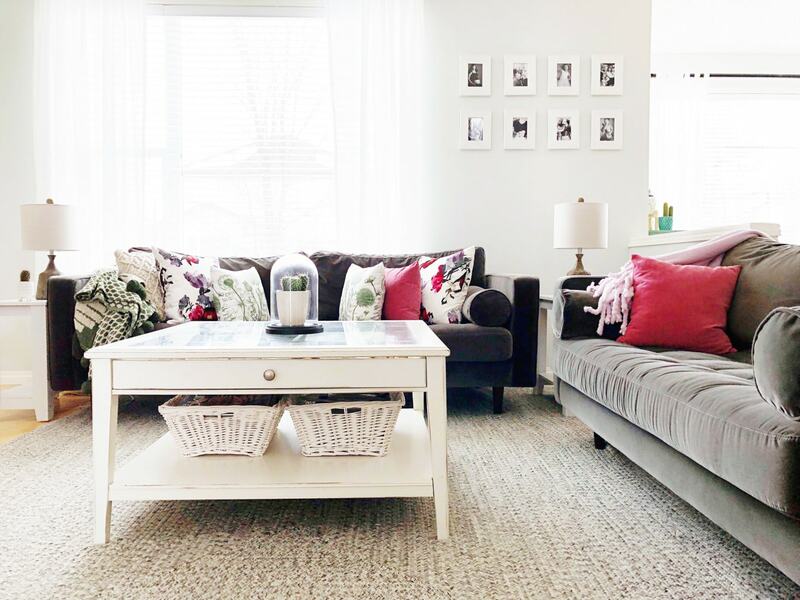 I hope you feel inspired to add some touches of spring to your own living space. 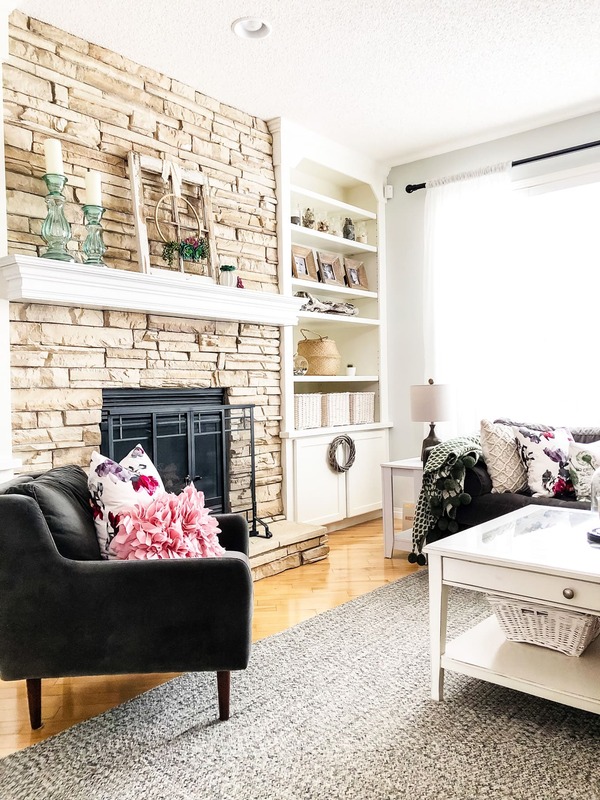 Next up on this Seasonal Simplicity Spring Home Tour is Rhonda of Hallstrom Home, so make sure to check out her beautiful spring space! 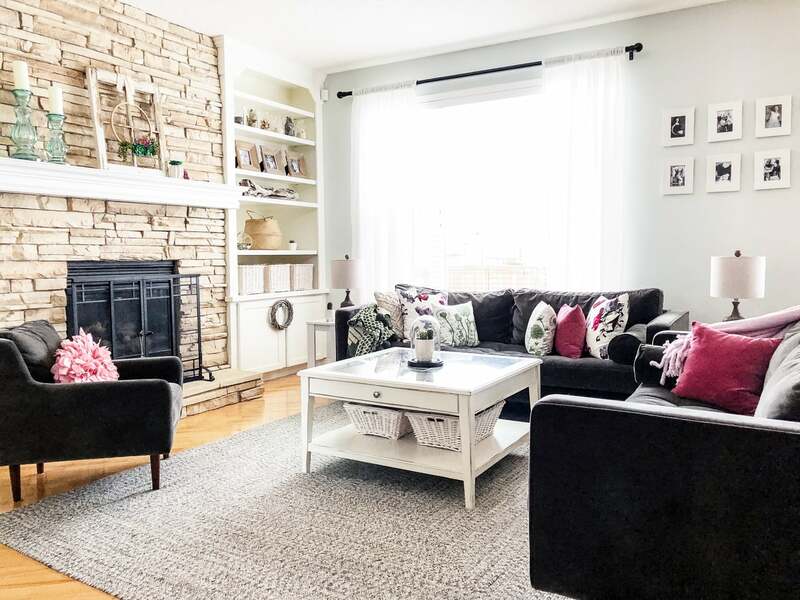 Then hop on over to all of the other pretty spring homes, in the links below. It’s so fun to see so many different and beautiful styles.